Located in the Eastern Costa del Sol, just over half an hour’s drive from Malaga city, in the beautiful area of La Axarquía, known for its outstanding, unspoilt beauty. 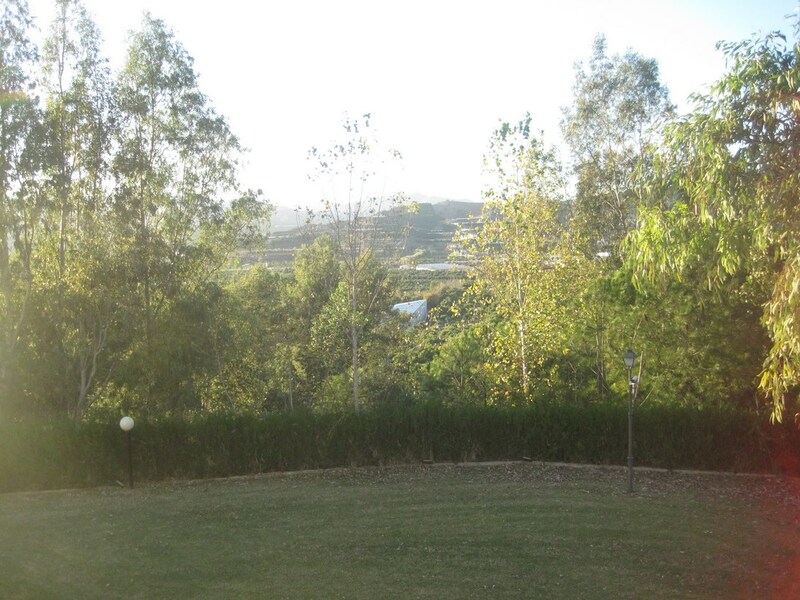 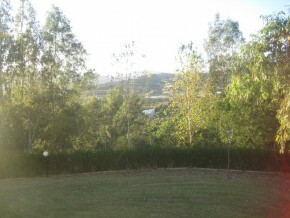 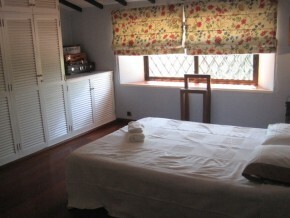 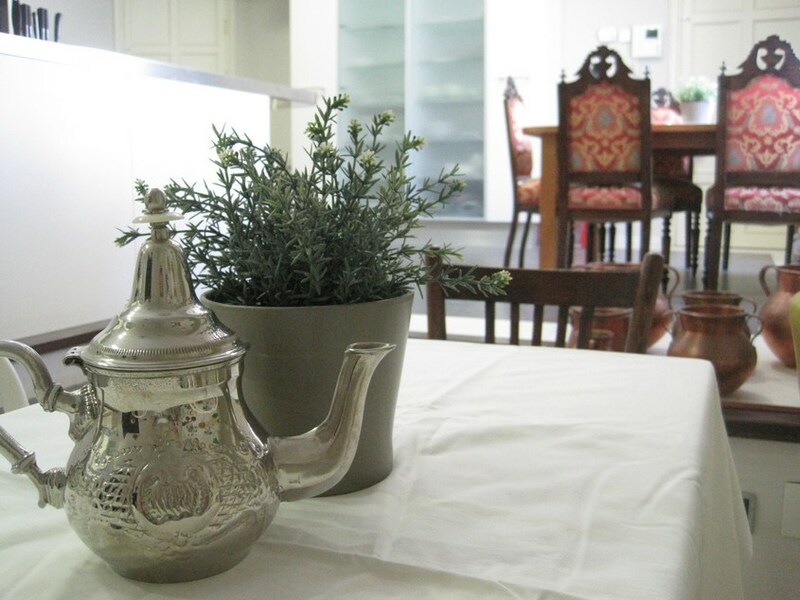 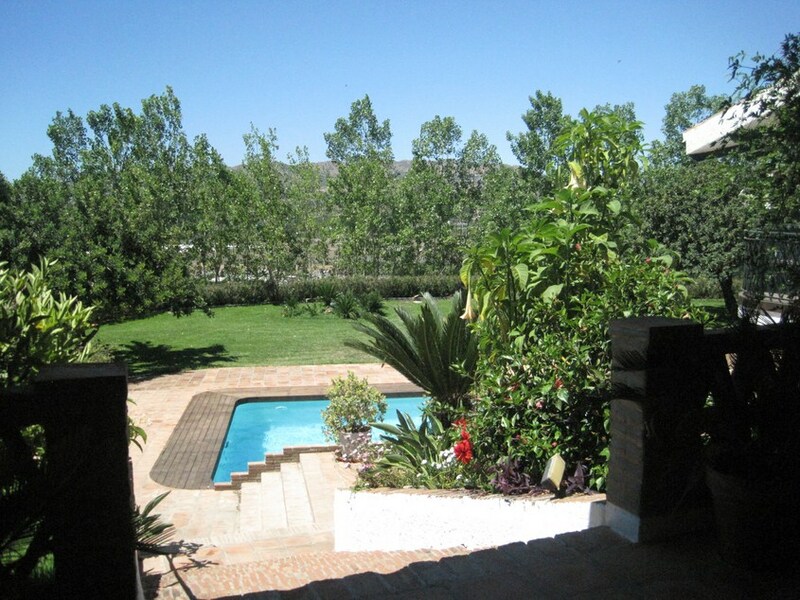 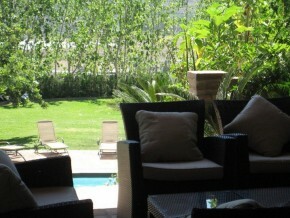 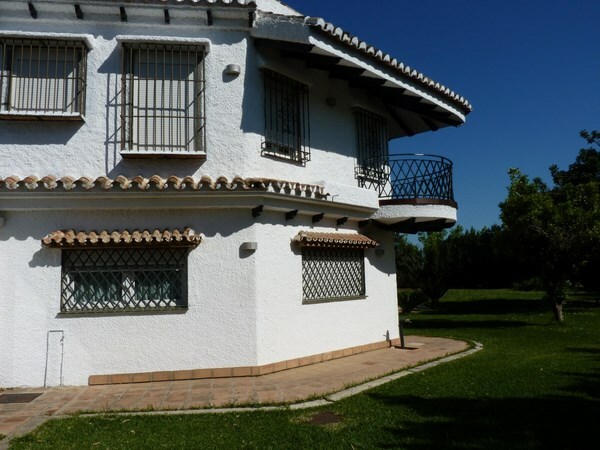 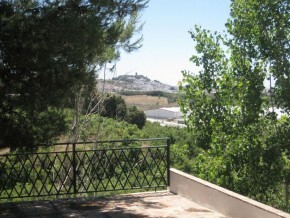 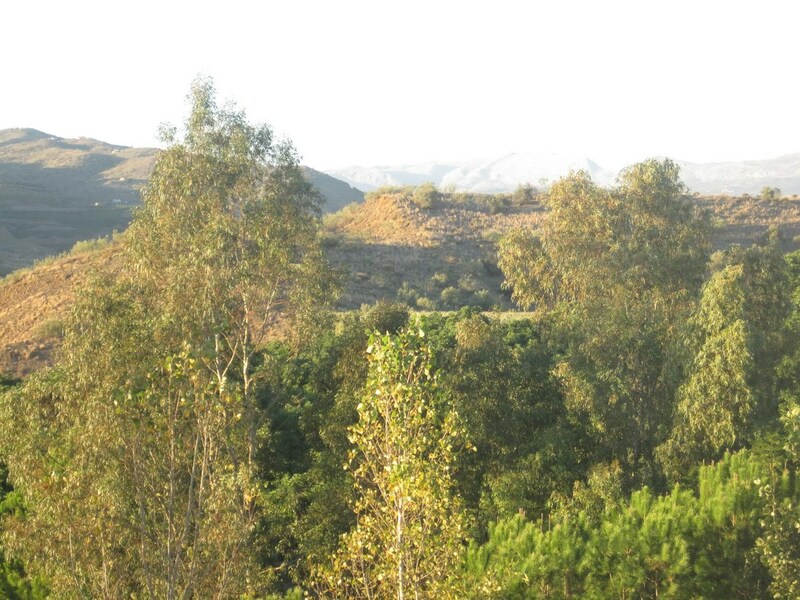 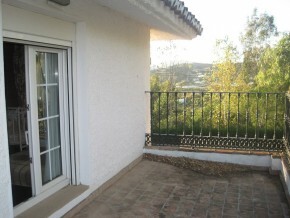 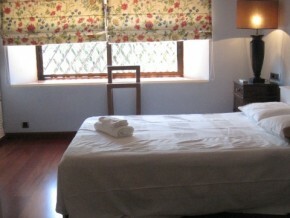 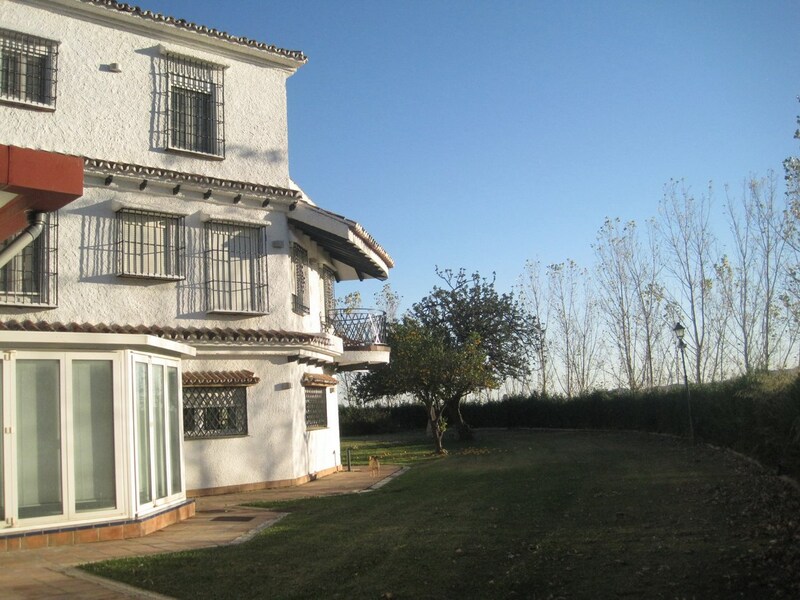 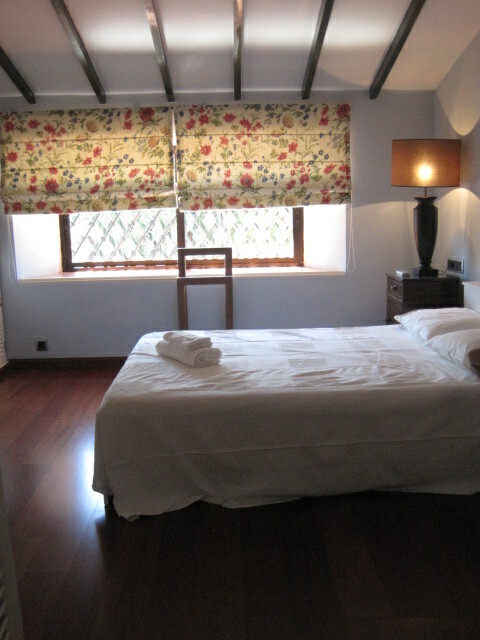 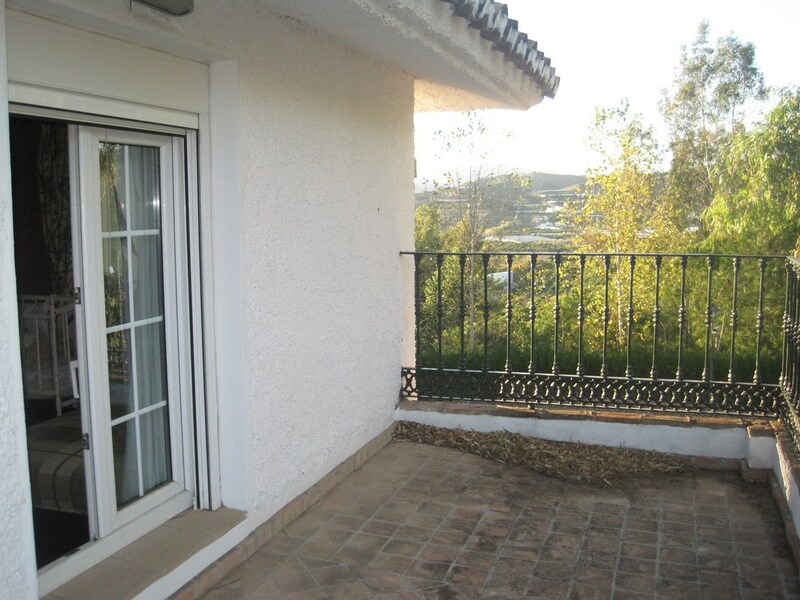 Just 7 minutes’ drive from the coast, 15 minutes to the mountains and 10 minutes from impressive Lake Viñuela. 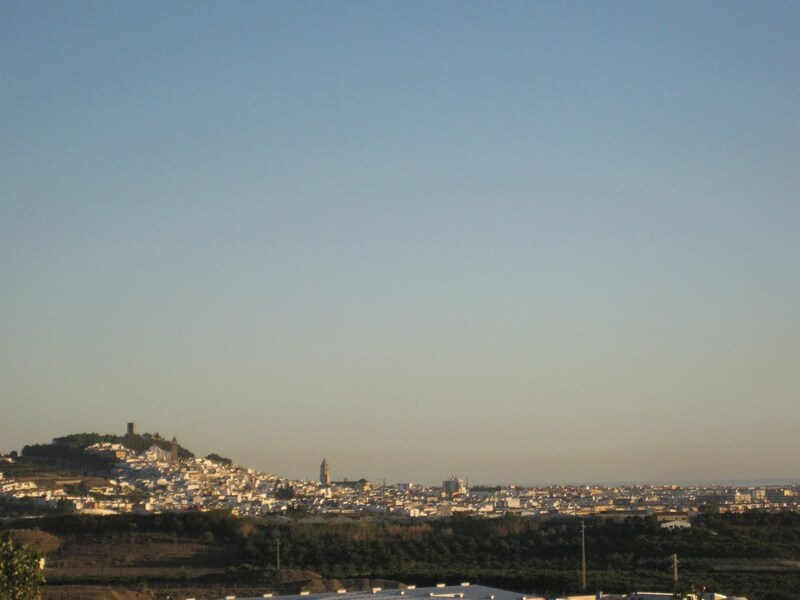 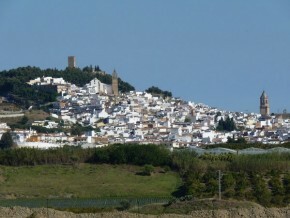 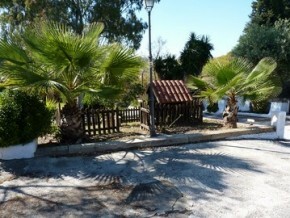 The main town is under 3 Kms away, the historic, ancient town of Velez-Malaga, with a population of around 70,000. 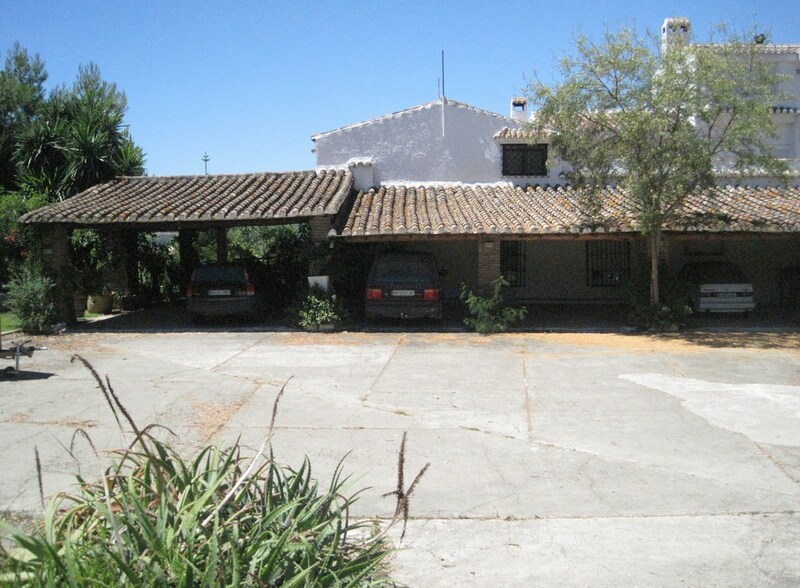 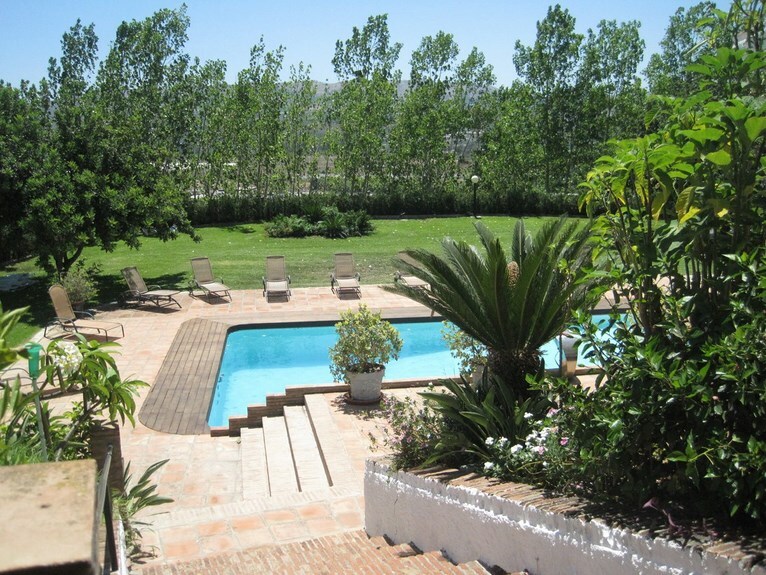 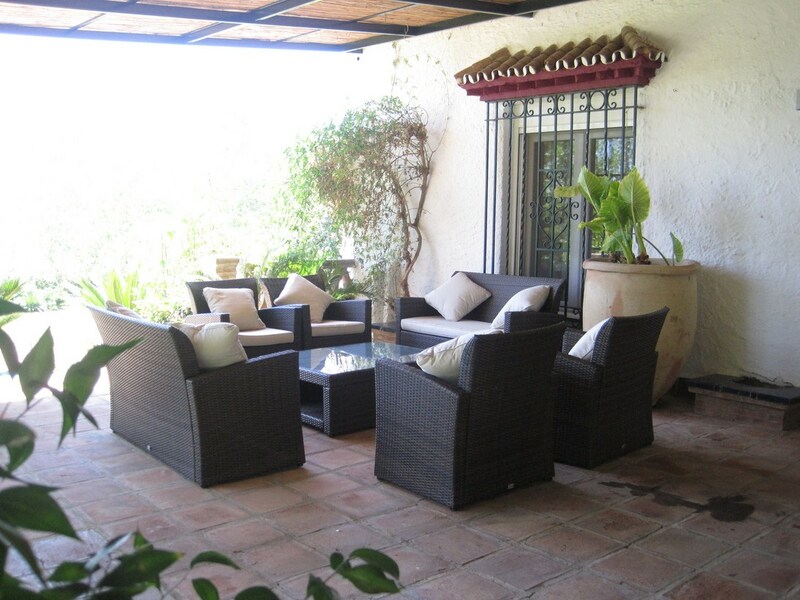 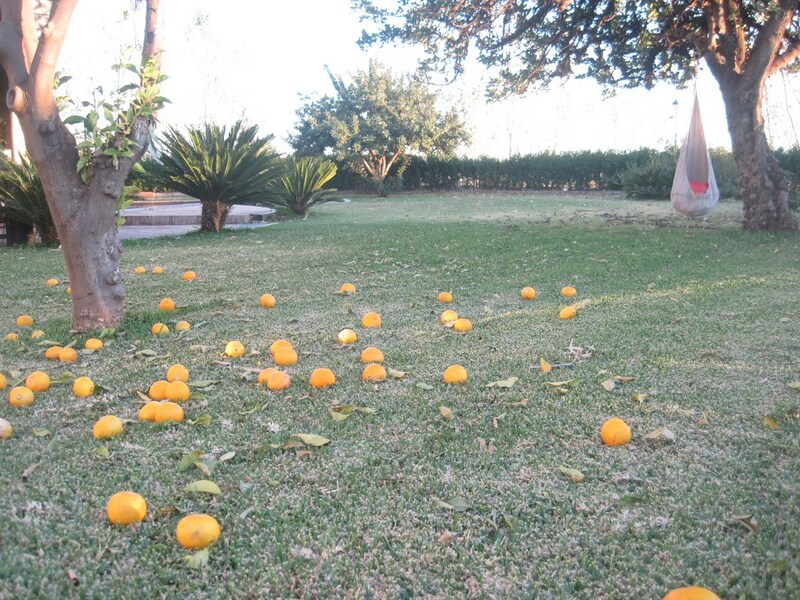 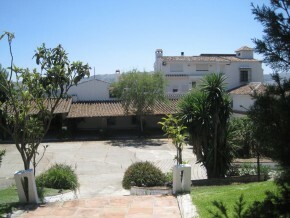 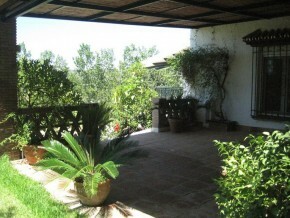 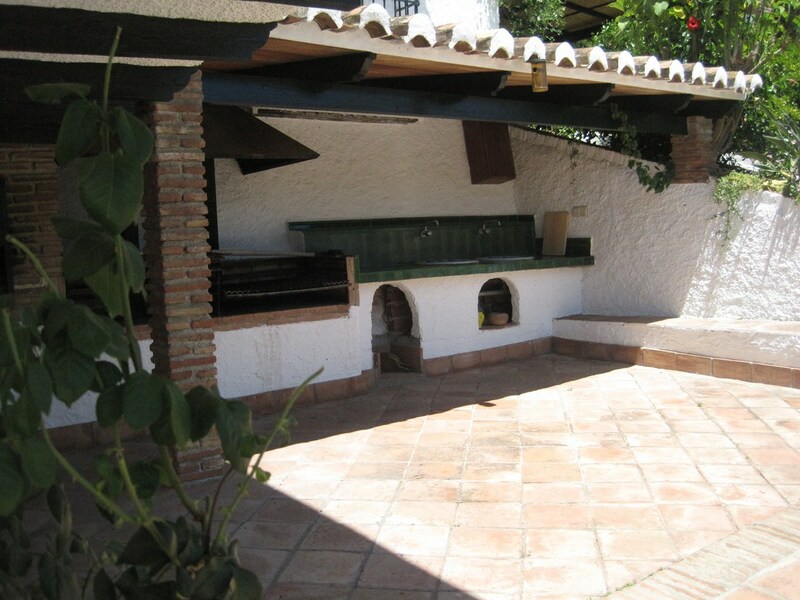 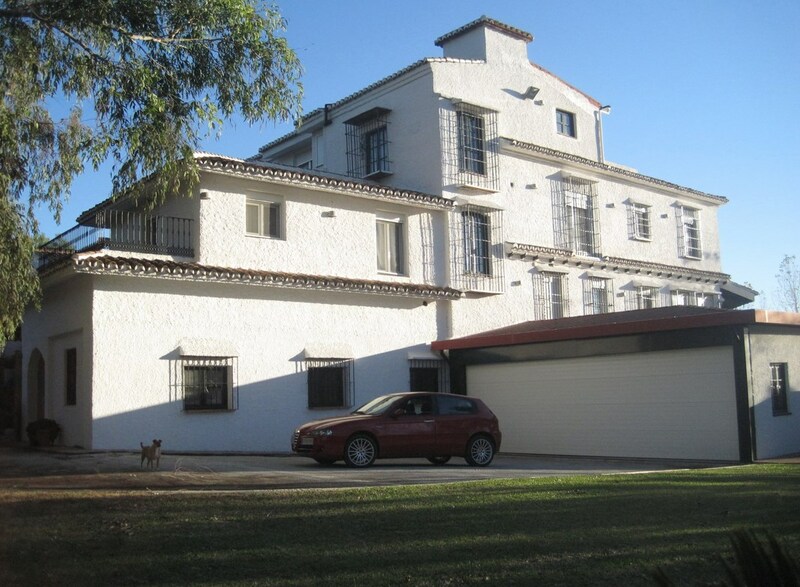 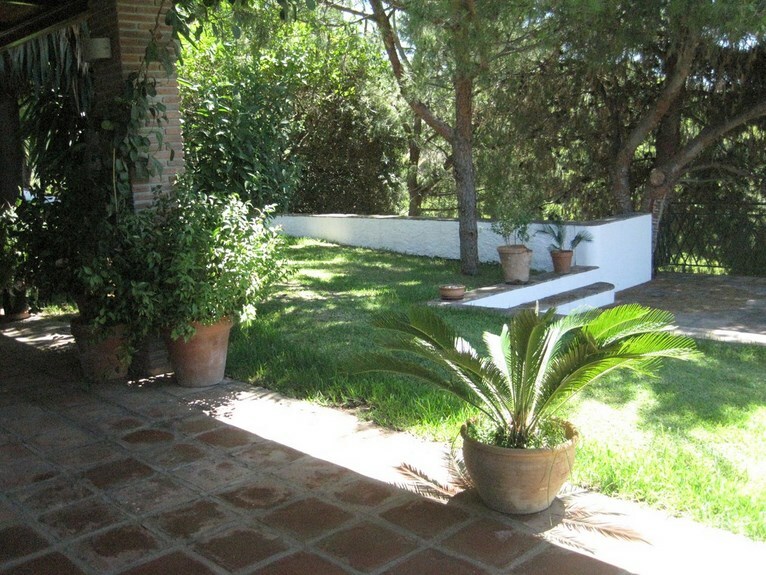 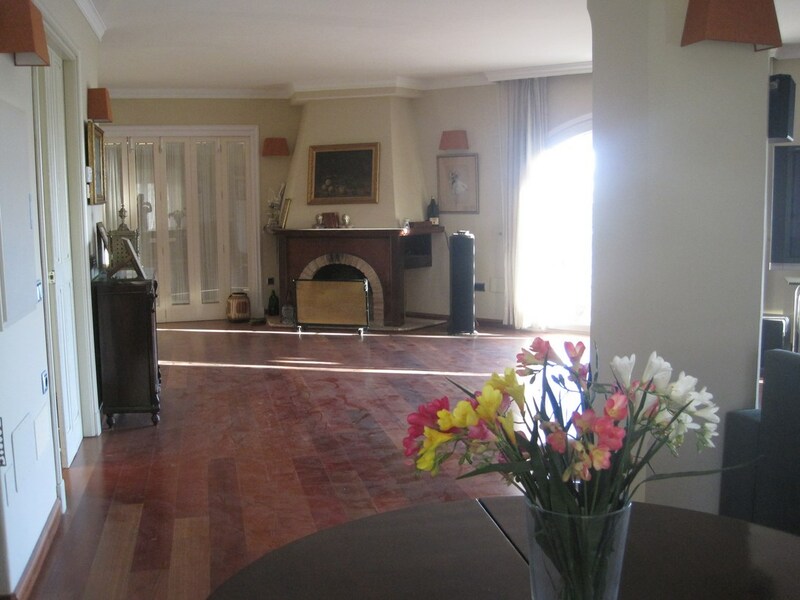 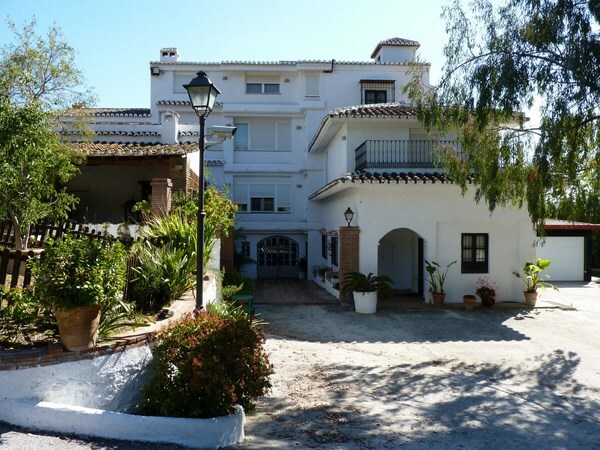 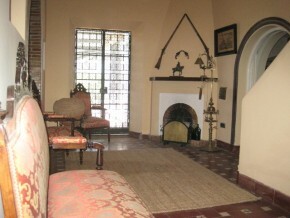 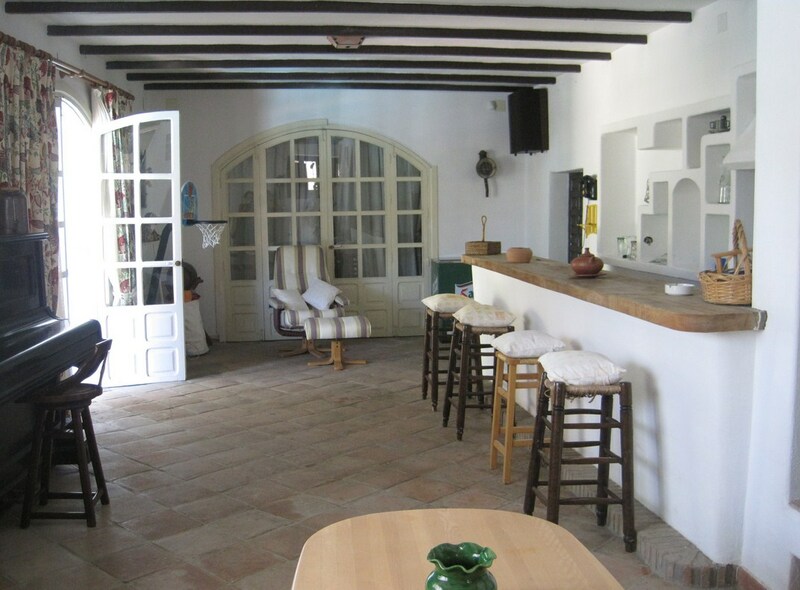 This is a unique, fascinating and historic mansion, belonging to one of the main, local land owning families in Malaga province, set in extensive grounds and surrounded by a huge, organic avocado farm. 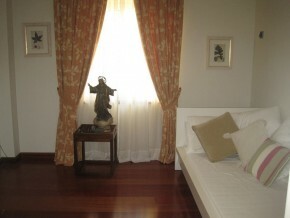 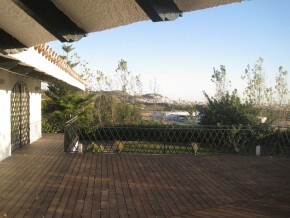 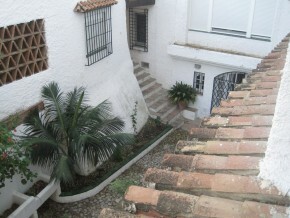 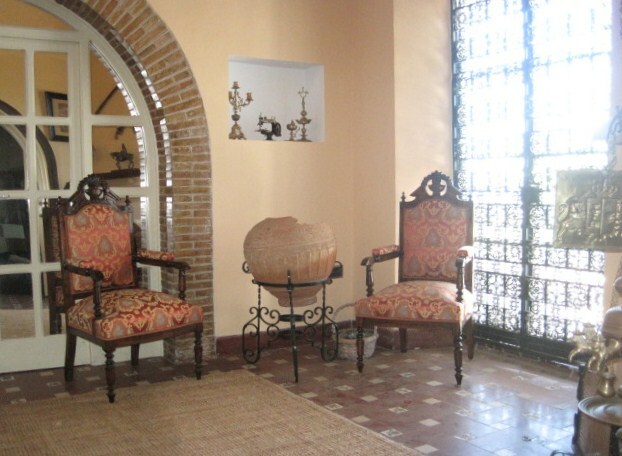 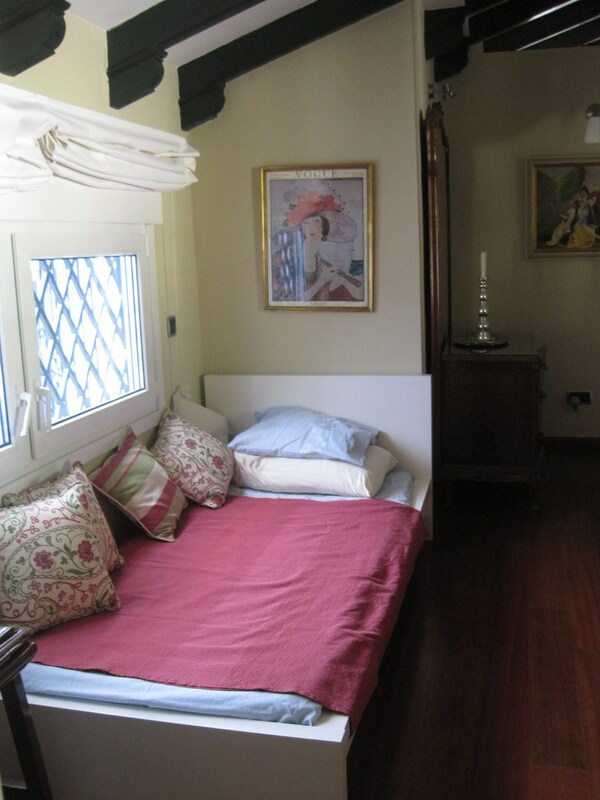 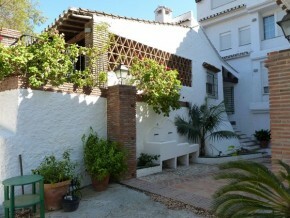 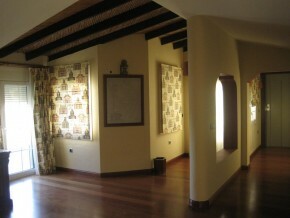 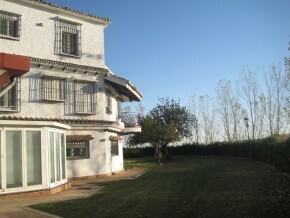 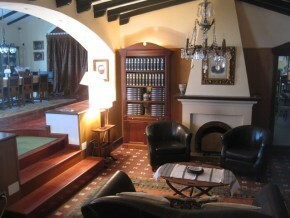 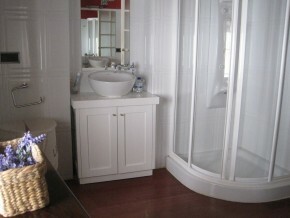 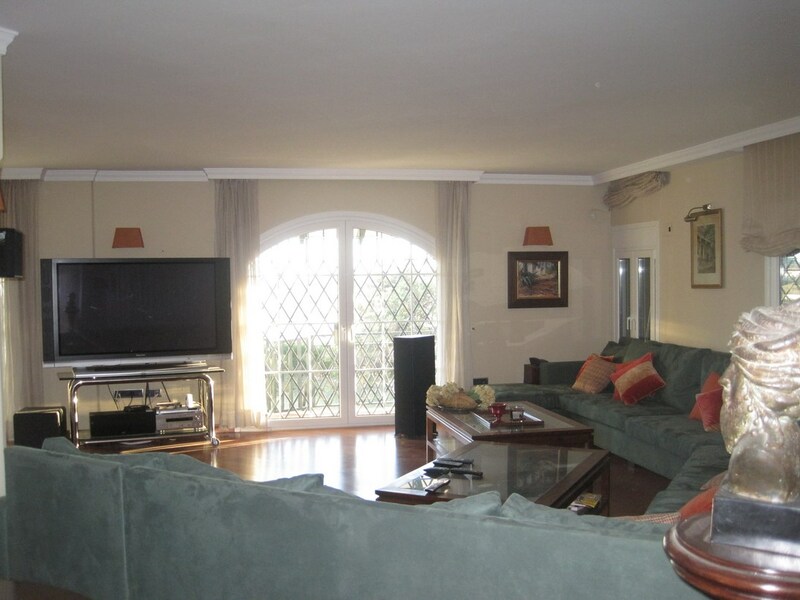 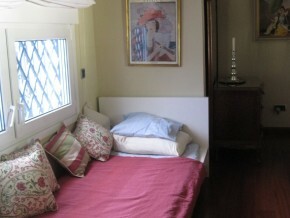 This is a unique and special opportunity to own a true piece of history on the Andalusian coast! 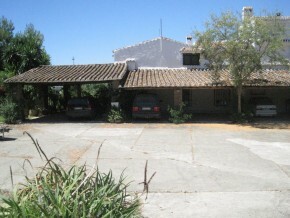 Set in private, gated grounds of 9,500m2, the property is approached via a private driveway (through electric, remote control operated gates), to two large parking areas: the first on a lower level, to access the triple garage, (with electric, remote control door), lower floor and kitchen; the second, the main car park area, sufficient for many cars, including 6 under the covered terrace. 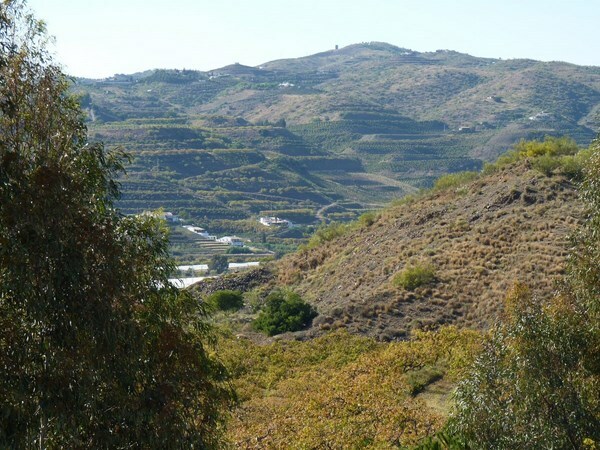 From here are access to the grounds on all sides, including a fruit tree orchard planted with mango trees (this is a tropical valley with an excellent, all year round microclimate that is second to none). A wide sweep of steps from the main car park leads up to a fenced and gated tennis court (the tennis court needs resurfacing) and pretty, built-in seating around the court gives an air of bygone times! 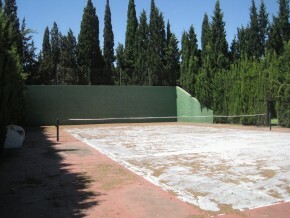 Beyond the tennis court, another gate leads into the ‘secret garden’, hidden away and surrounded by mature cyprus trees, and laid mainly to lawn. 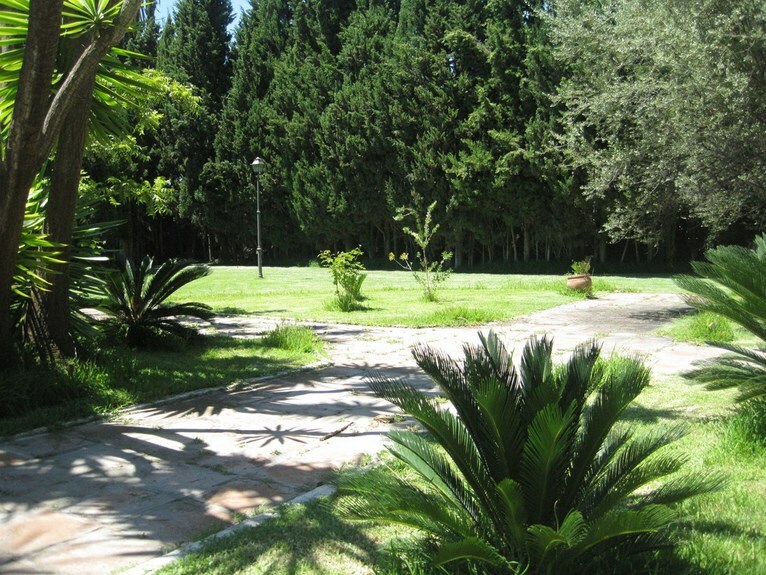 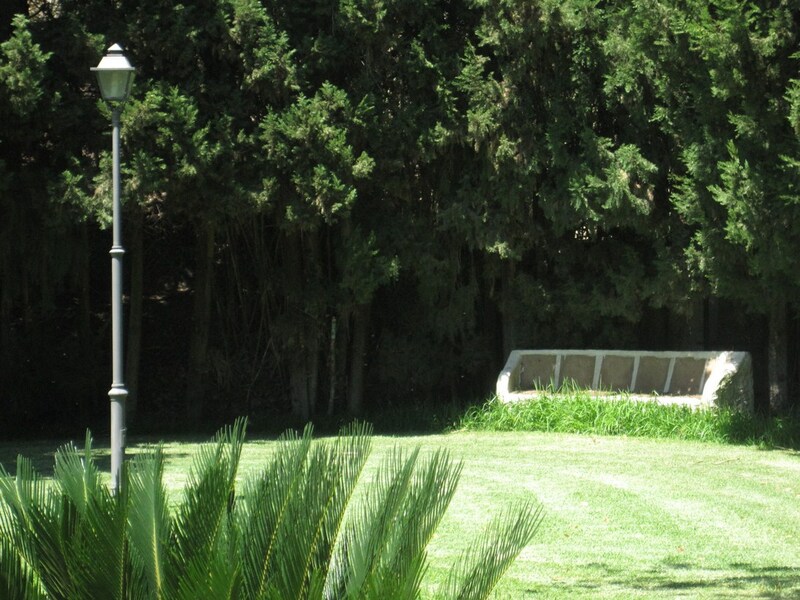 This beautiful, secluded garden is known as the Jardines Rosaleda and includes a helipad in the centre, at the moment surrounded by shrubs and bushes. 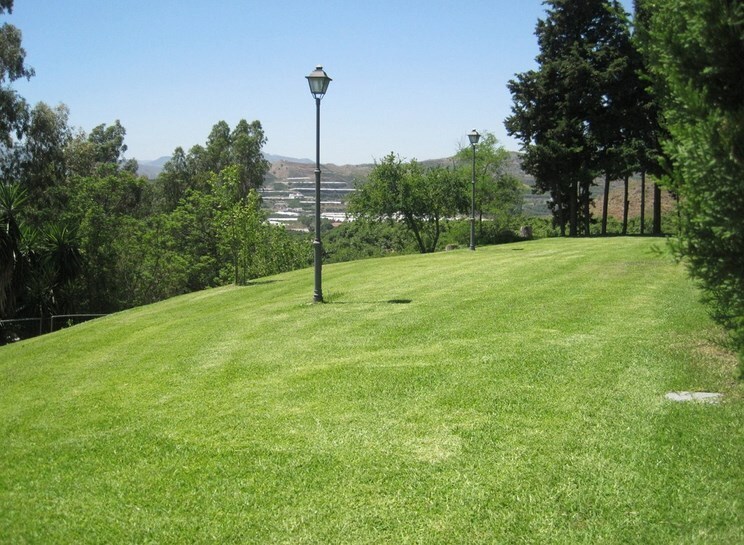 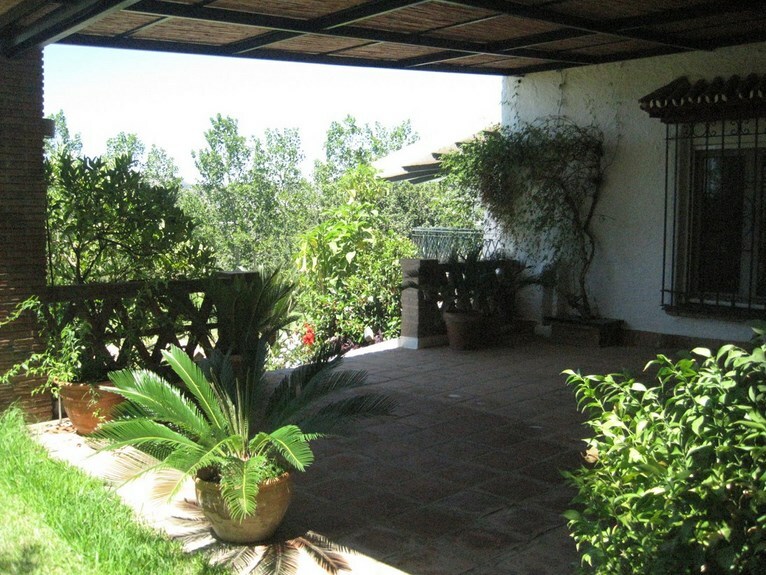 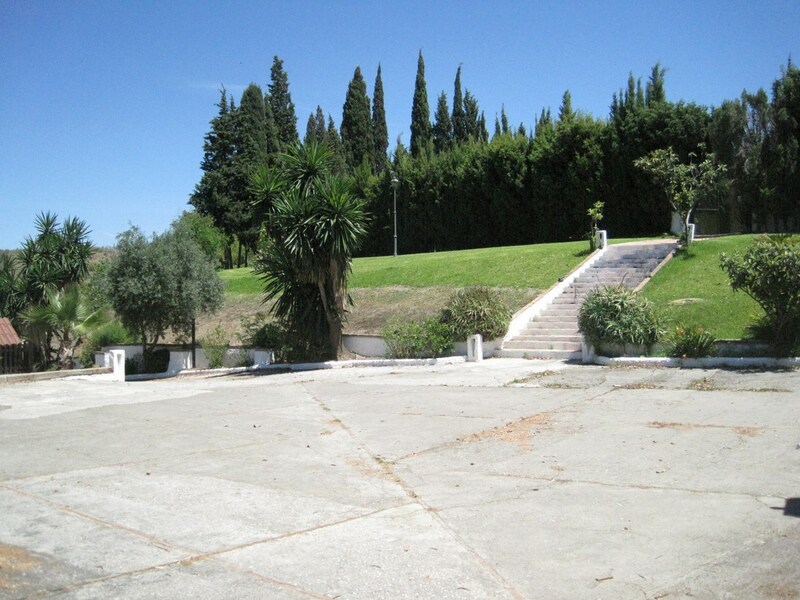 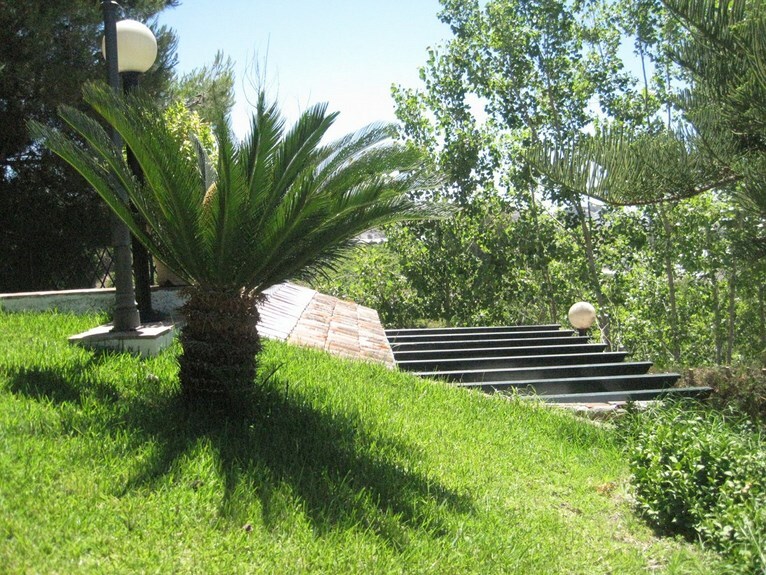 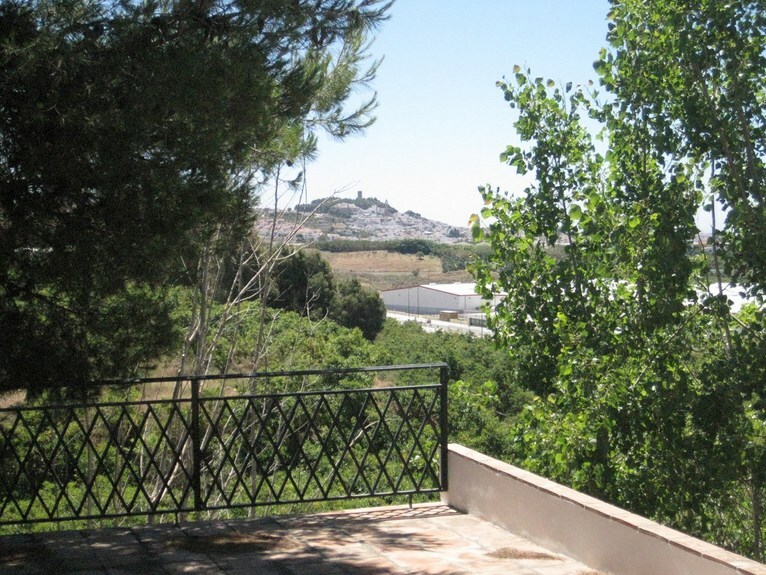 These gardens are fully fenced, although the plot goes beyond, down a steep bank, with lovely views over the town of Velez-Malaga, around 2/3 Kms away. A path leads around the gardens, past further built-in seating, and down in a circle, back to the car park. 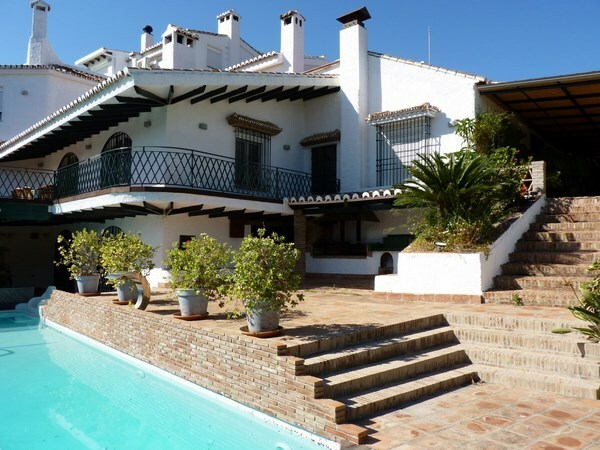 The house is entirely surrounded by gardens on all sides, mainly laid to lawn, including the beautiful pool area, and is not overlooked from any angle. 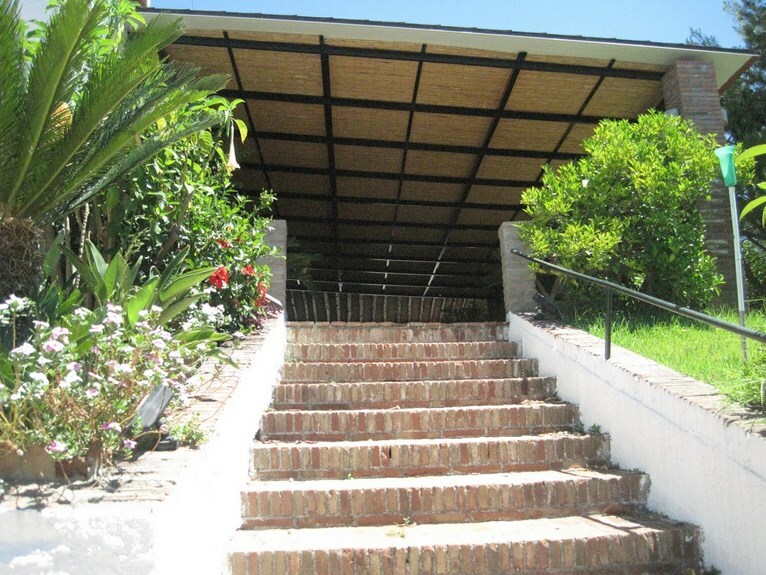 From the car park, a long, galleried covered terrace runs around the entire East wing of the house facing the car park and around to the front door to the South wing. 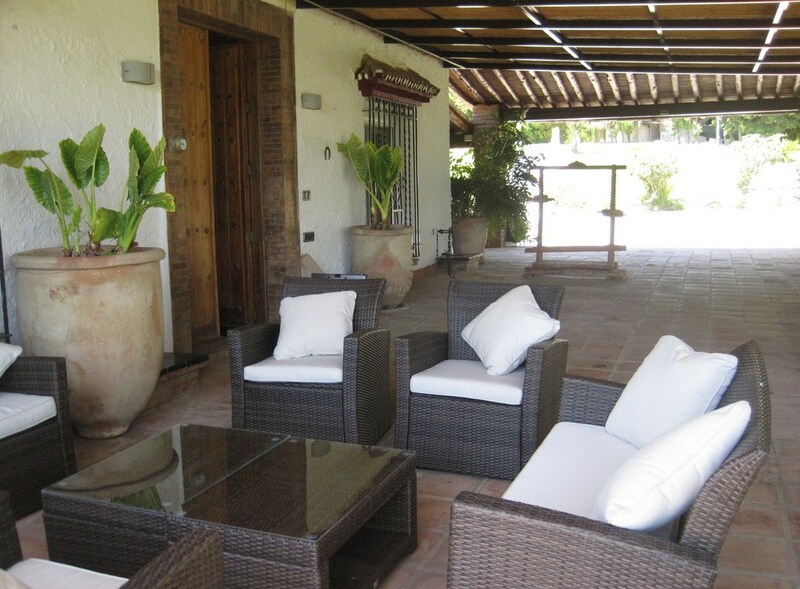 Here the terrace is an excellent size, around 200m2 and is one of the nicest parts of the property, offering a gentle, cool breeze on warm Summer evenings, ideal for relaxing with a glass of wine or a G&T! 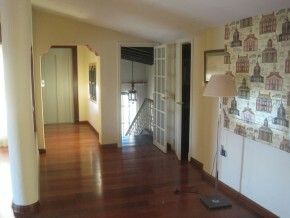 From here, the huge, original double wooden doors leads into the oldest part of the house, and into the entrance hall . 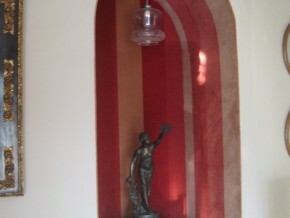 Immediately one is set back in time, to the elegance of the turn of the century. 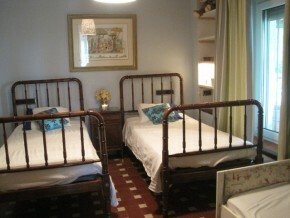 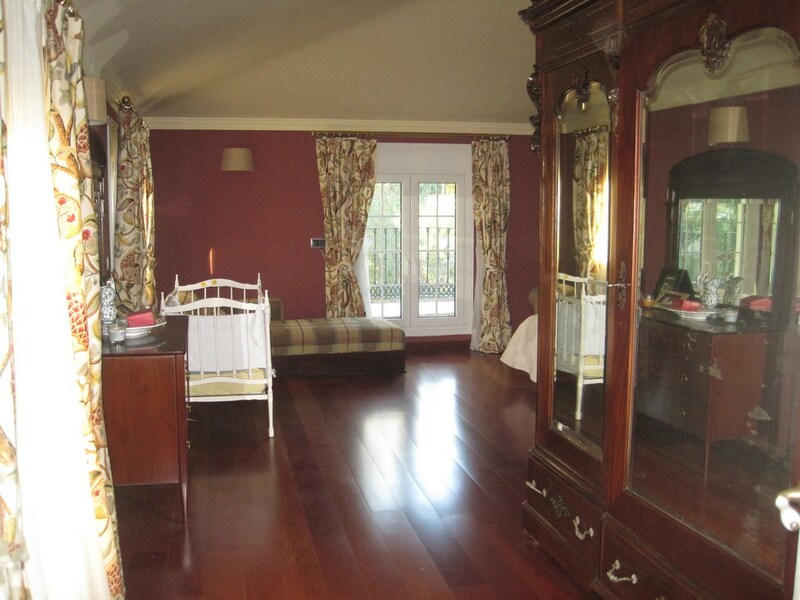 To either side, double doors lead into further rooms: to the right, a double bedroom with huge windows to the covered terrace, traditionally used as the children’s room (13m2). Double doors from this room lead into a now modern bathroom (7m2) with wooden floors, large bath with overhead shower, bidet, basin and WC. 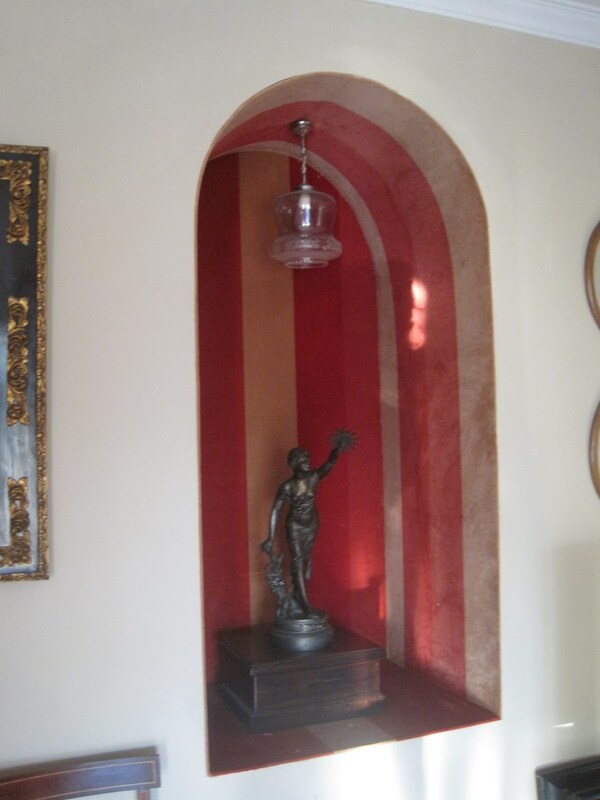 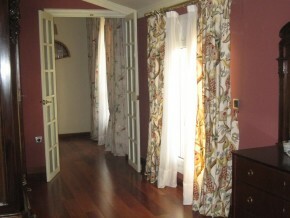 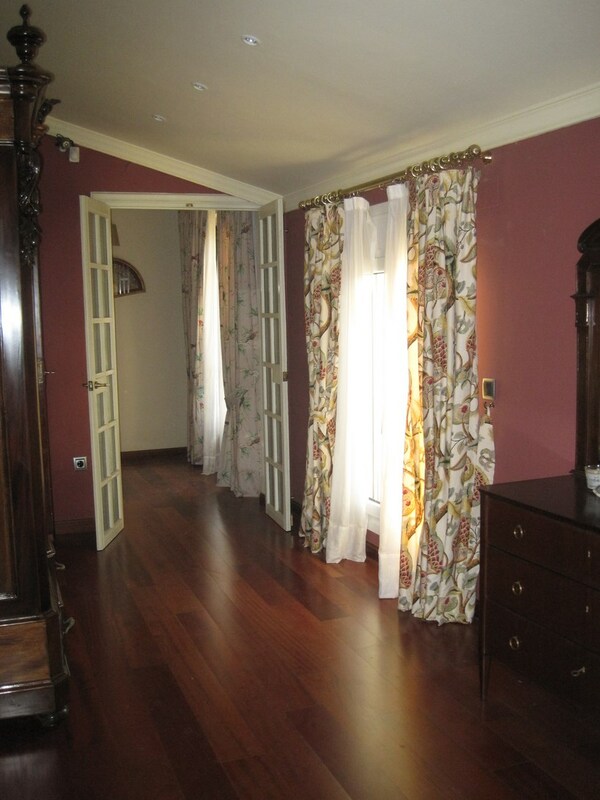 Back in the entrance hall, to the left, double doors lead into a study, currently used as a double bedroom, (14m2). 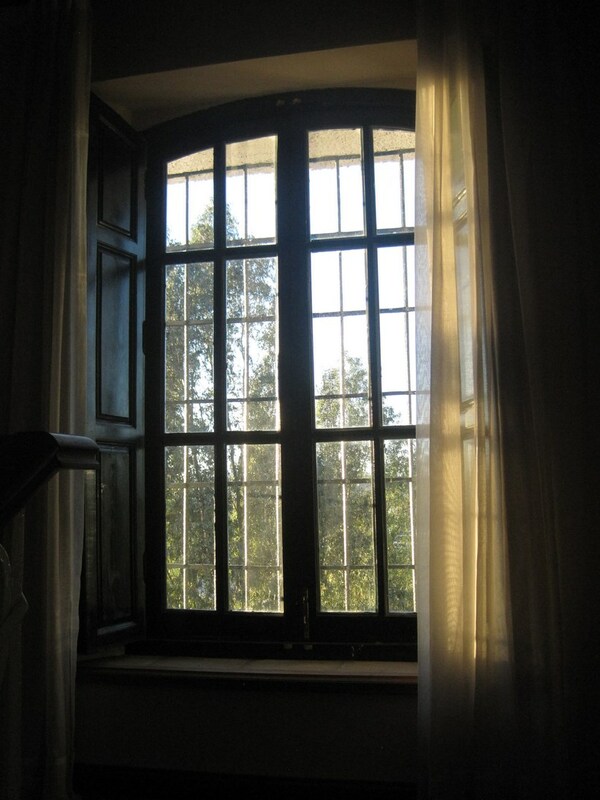 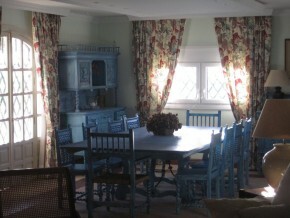 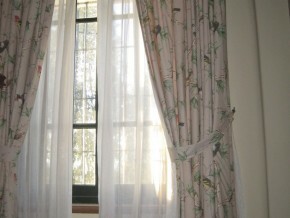 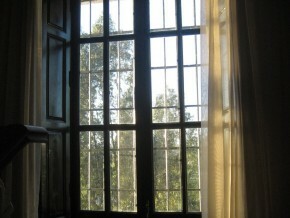 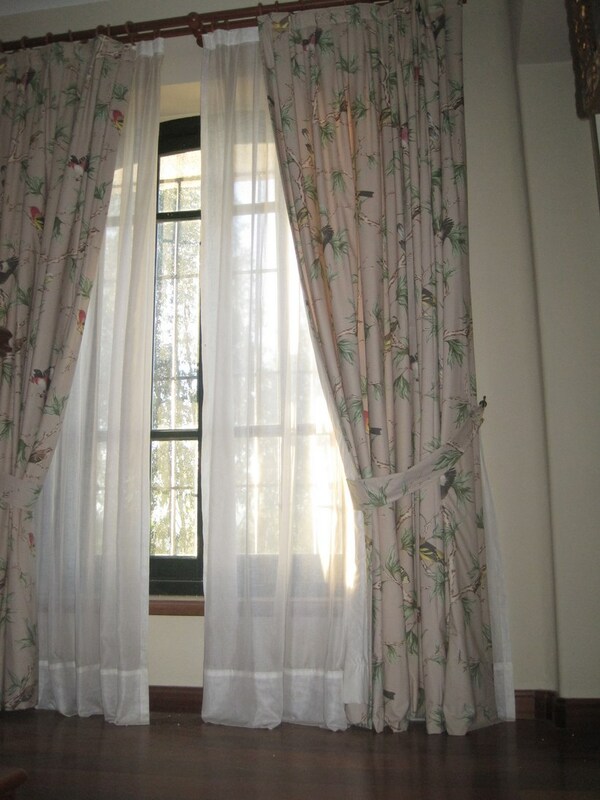 also with tall windows to the front covered terrace, and also to the side, overlooking the gardens. 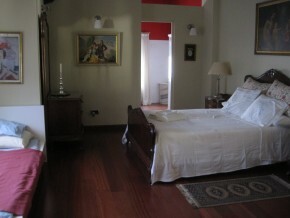 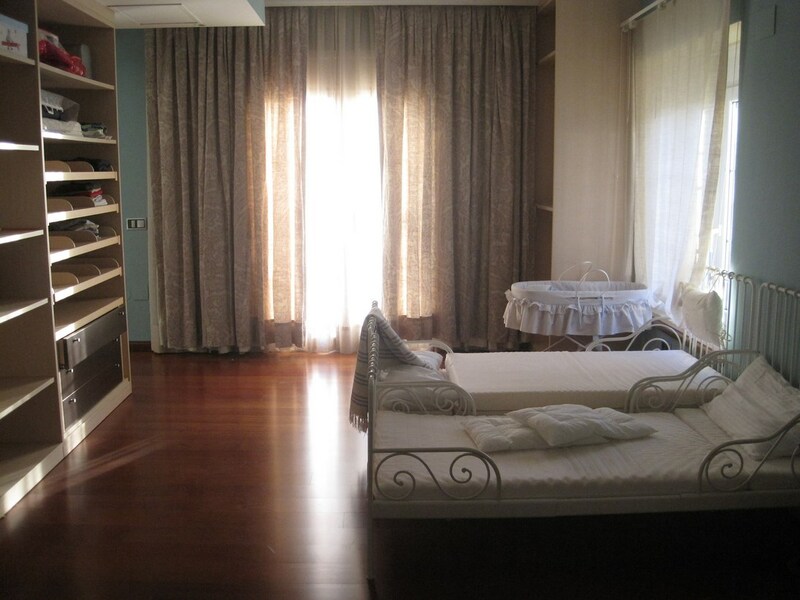 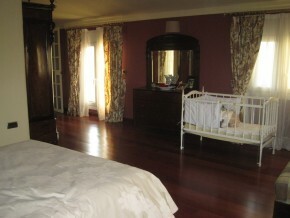 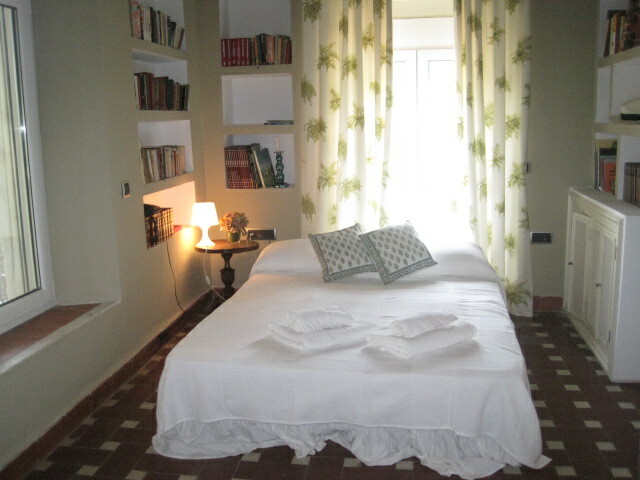 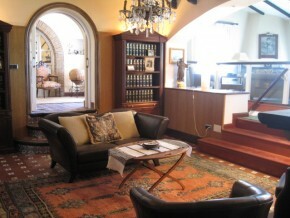 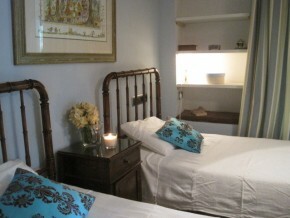 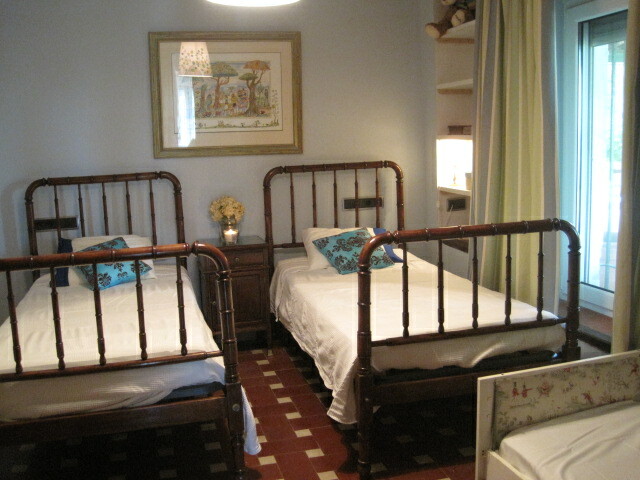 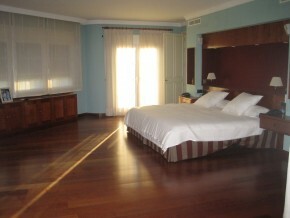 This beautiful room has wall to floor bookshelves and a second set of double doors to the inner hall. 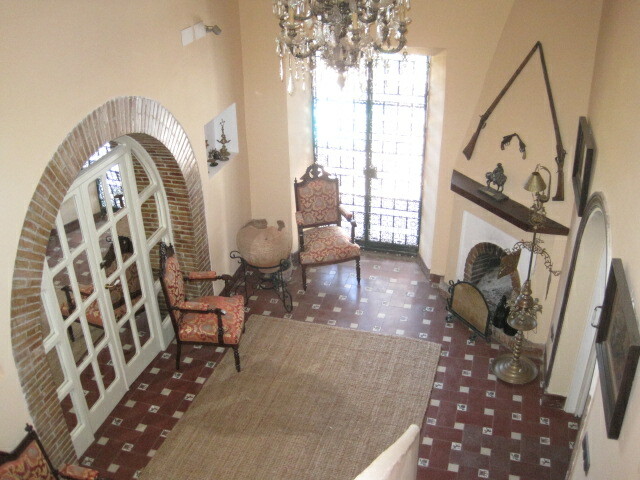 To the far end of the entrance hall, double doors lead into the inner hall, a spacious and elegant room which is the heart of the old part of the house. 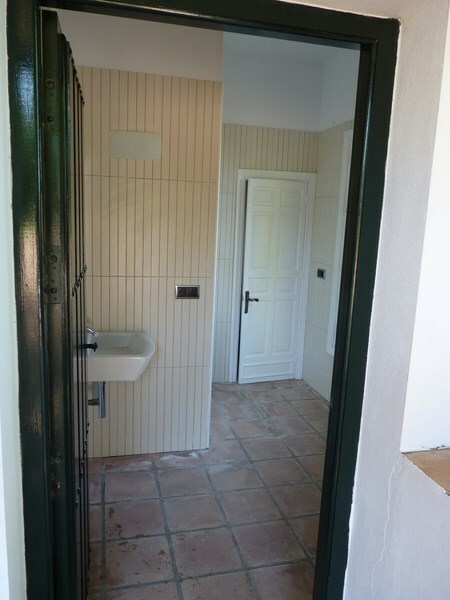 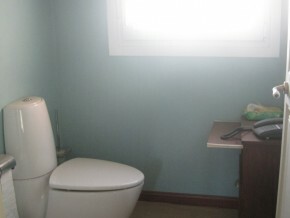 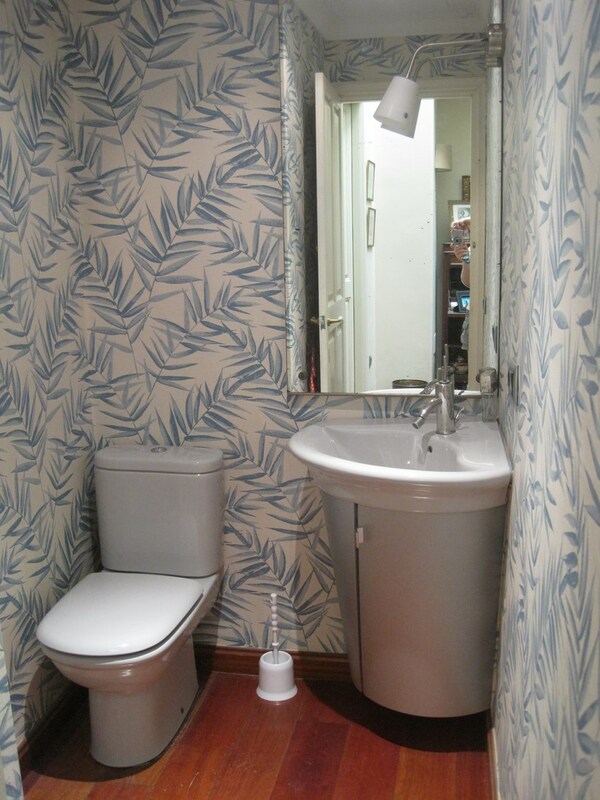 To the right, a door to a WC and beyond, a second door to the right leads to the second entrance into the children’s bathroom, (making this bathroom accessible from both the children’s room and from the hall), and to the second bedroom. 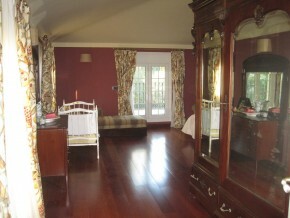 A further bedroom is opposite the bathroom and is a spacious 21m2 with windows to the right looking out to the driveway, and to the left, overlooking a pretty inner patio. 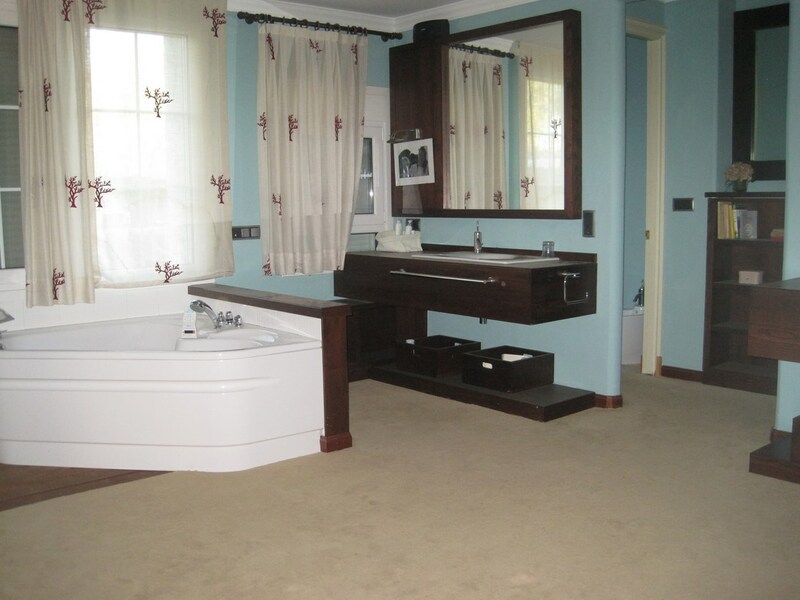 Beyond this bedroom, a door leads to an exquisite ensuite bathroom (9m2) with luxury spa and massage shower unit, double wash basins, WC and bidet, with window overlooking the rear courtyard. Returning to the inner hall, beautiful double glass doors with intricate wrought-ironwork lead out onto an extensive terrace (71m2), which sweeps around the dining room and living room and offers views over the gardens and the nearby town and the countryside around, with its avocado and mango farms. 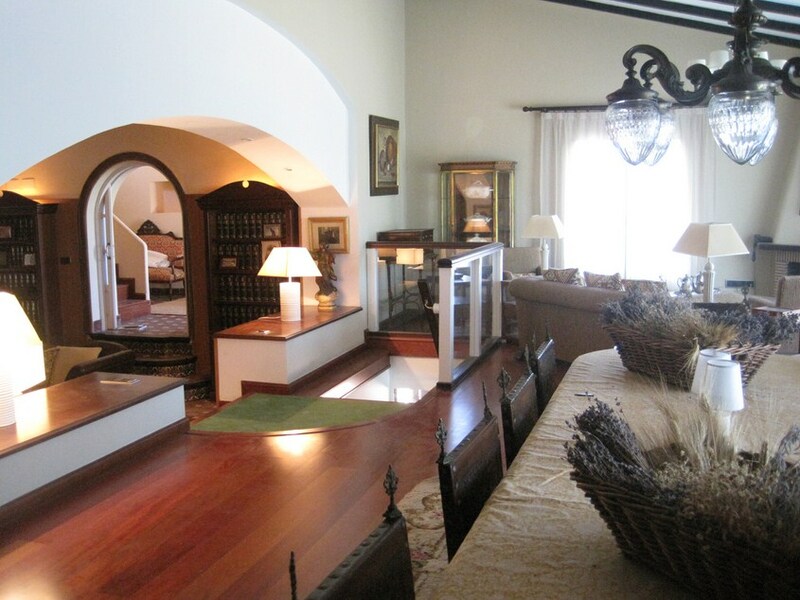 From the inner hall, double glass, mirror-effect doors slide open to reveal the library, with three steps down into this magnificent room (25m2). 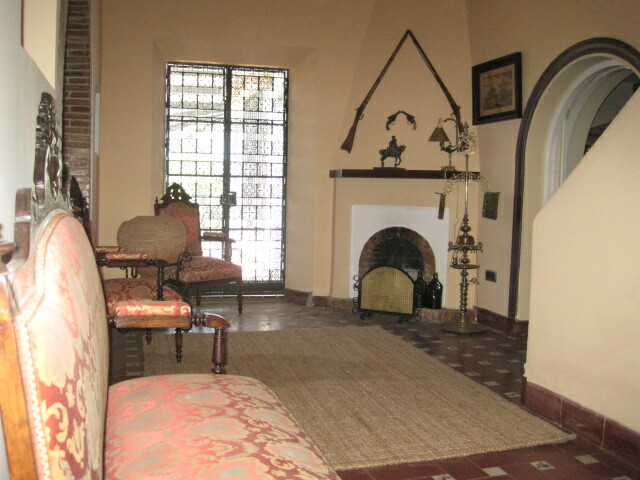 Here one can imagine the gentlemen retiring after dinner to smoke their pipes, while the ladies gather elsewhere in the house! 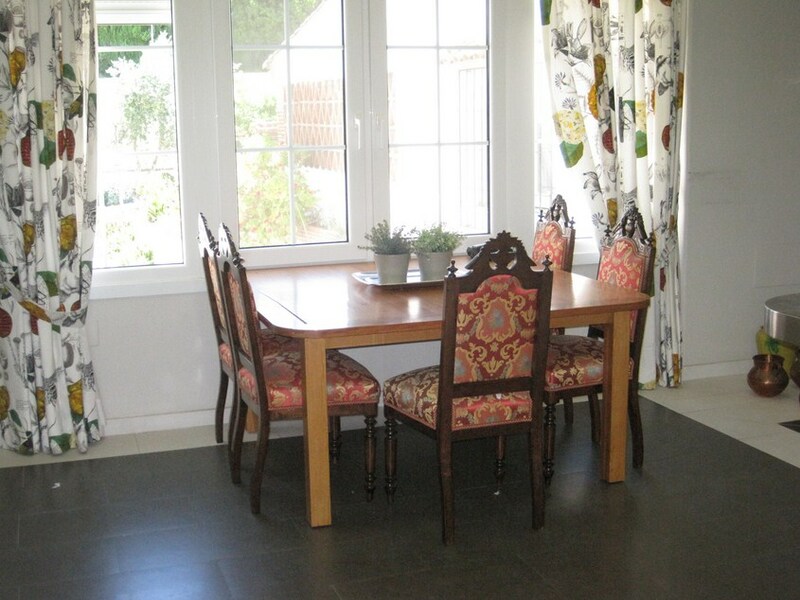 To the left, a couple of wide steps lead up to the dining room (48m2), with a huge dining table and antique chairs, with lovely views through three sets of double glass doors, which open onto the terrace. 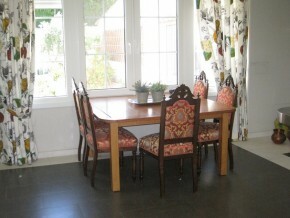 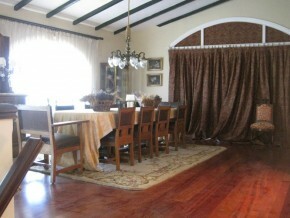 To the left hand end of the dining area is a small relaxing area, currently with a TV and sofas, and further huge windows. 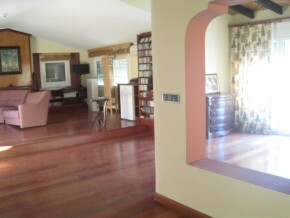 To the far right of the dining area, a wall of glass fold-away concertina doors leads into a vast living room (70m2) with sofas and seating, and further double glass doors onto the same large terrace. 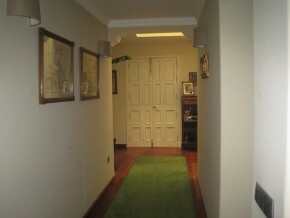 From this room, a further doorway leads to a corridor, where there is another bedroom (10m2), a WC, the electrics control room, a door to the kitchen, the main stairwell, and lift. Back in the library is the main door, at the far end which also gives direct access to the totally modern and updated kitchen. 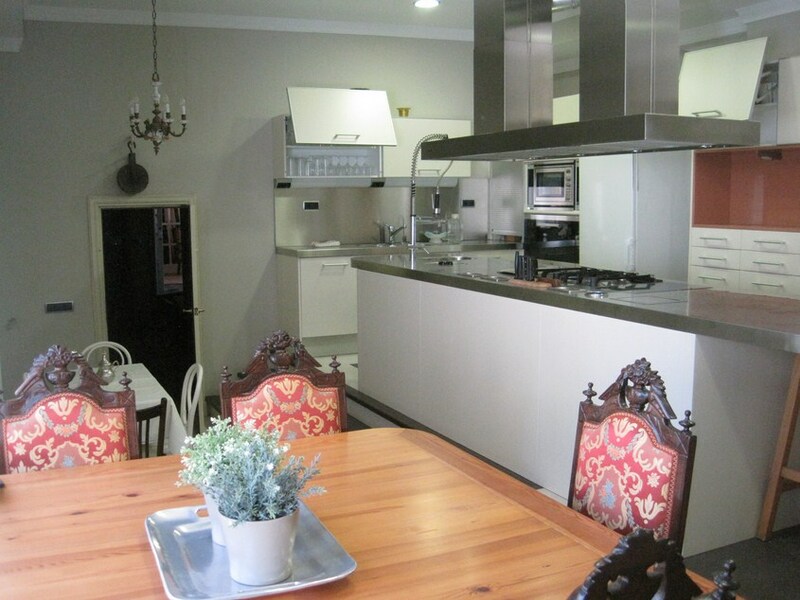 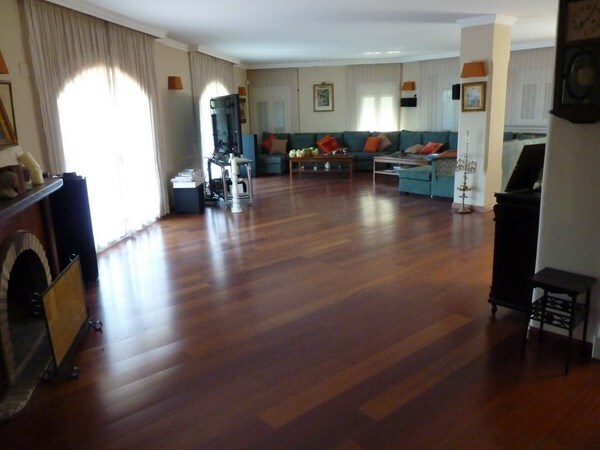 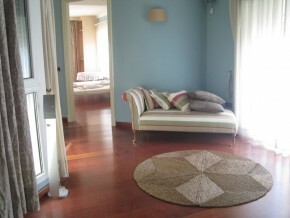 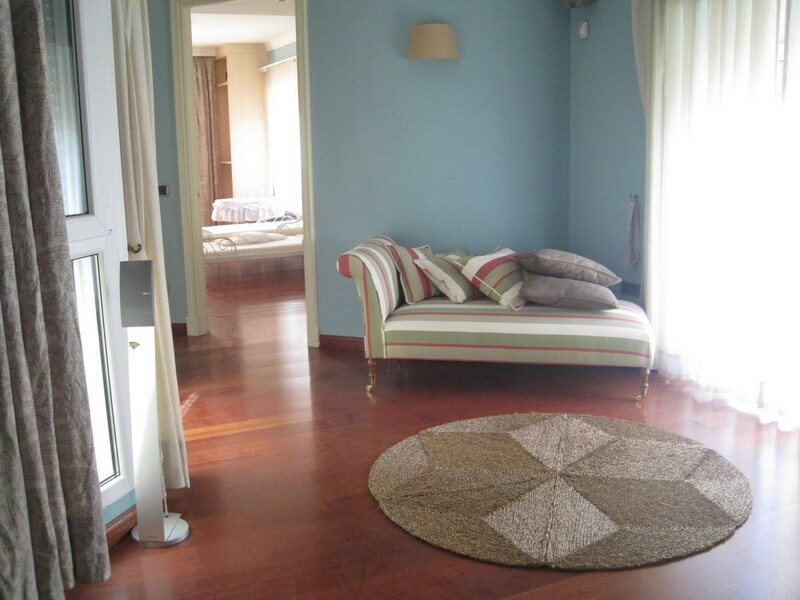 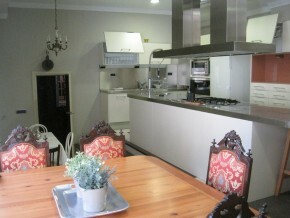 A generous 42m2, the kitchen has ample space for dining in, in addition to cooking. 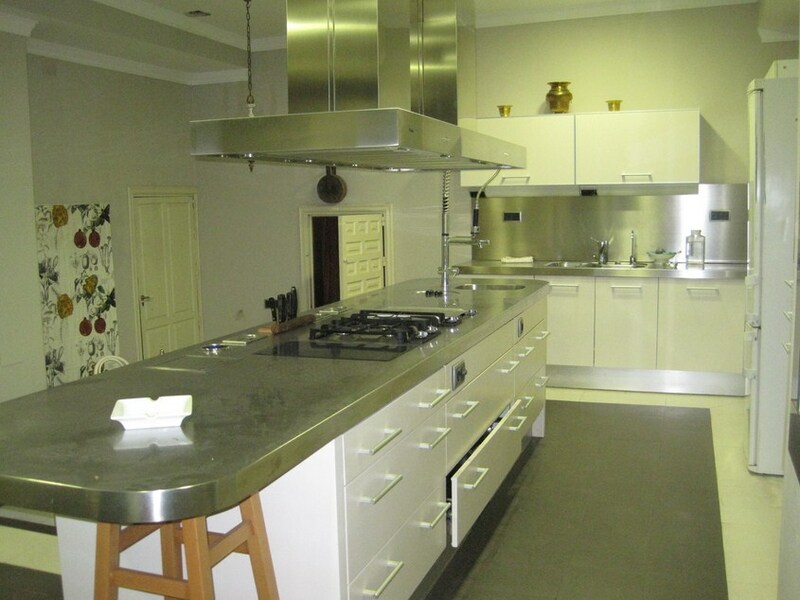 The main kitchen is based around a raised, stainless steel island, with built-in units, sinks and gas cooking hobs. There is also a dumbwaiter here, to serve food directly to the upper floors. At the far end of the kitchen are two further doors, leading to the main stairwell and the corridor that leads back to the living room, and a side door leading out to the inner patio, with an outdoor sink, and steps to the courtyard and lower parking area. 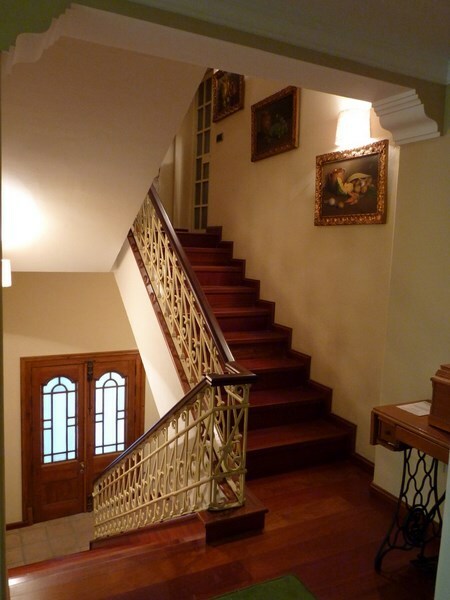 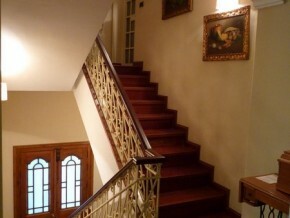 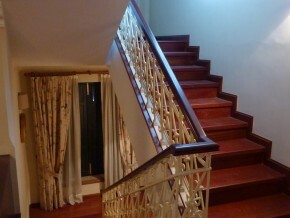 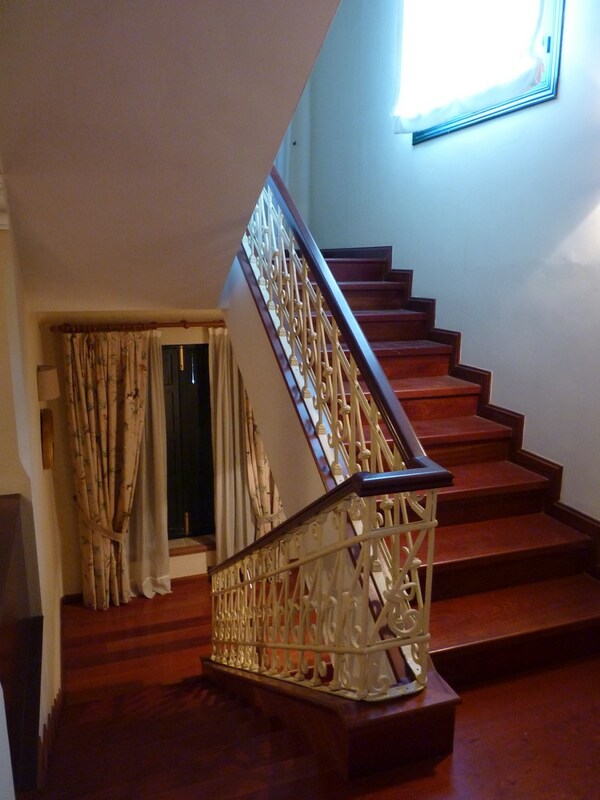 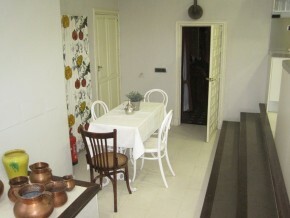 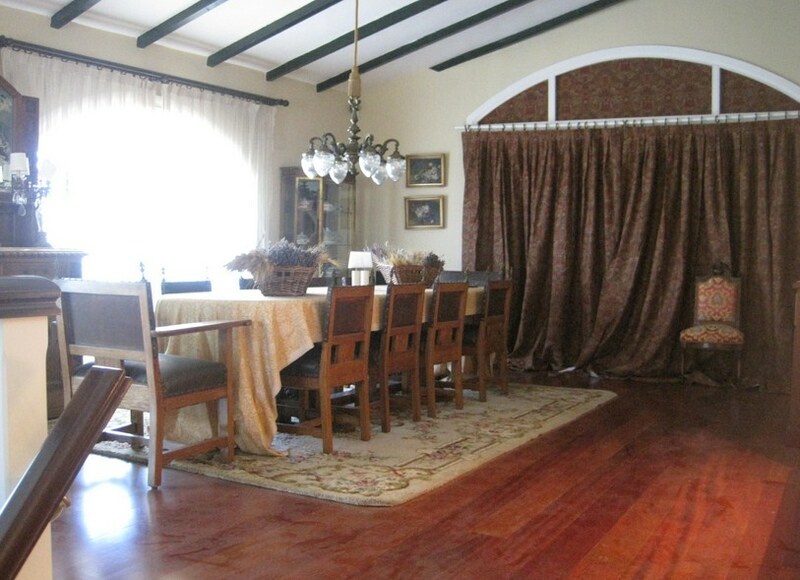 From the dining room, steep stairs lead down to the basement, or recreation floor, and straight into the bar. 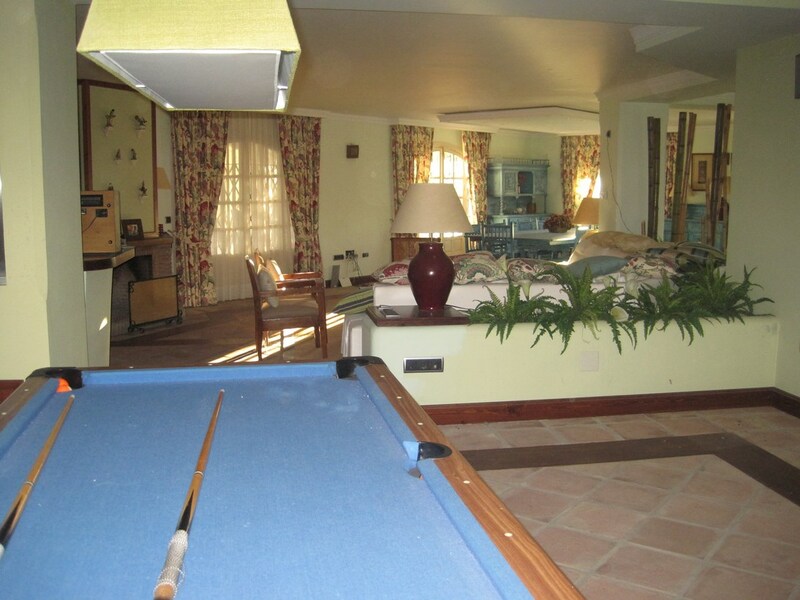 This is a great recreation and ‘fun’ room, with a bar and small sink, and original wooden and glass panelled doors to the ground floor covered terrace (below the open terrace above). 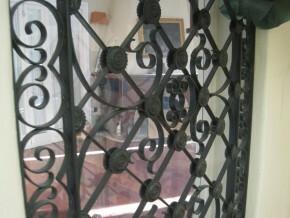 From the bar, there is a door to an original bodega. 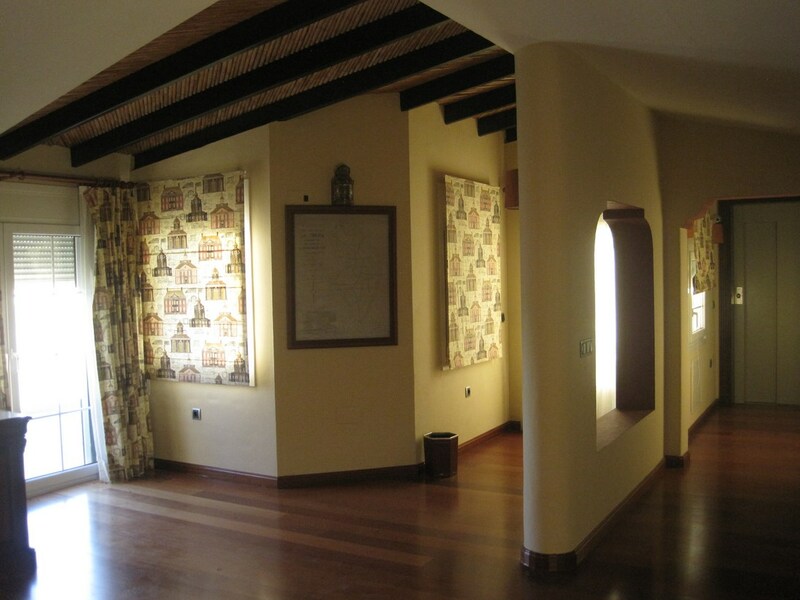 Also from this lower floor (basement floor) are a wall of concertina glass folding doors leading into the basement recreation room/gymnasium room. 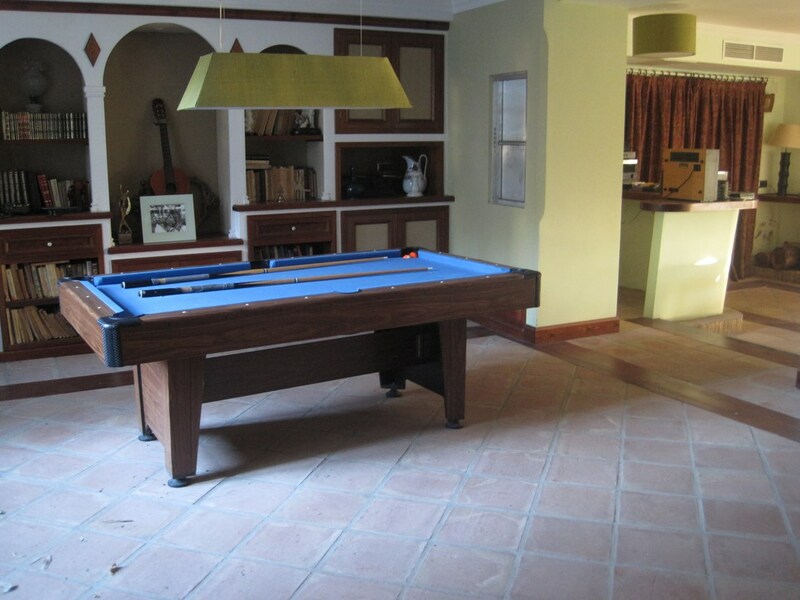 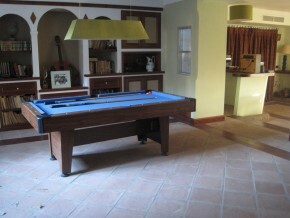 Beyond, the pool room with pool table and door to the stairwell. 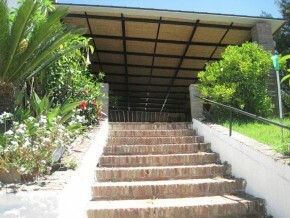 Also from the gymnasium area is a door leading to the spa area. 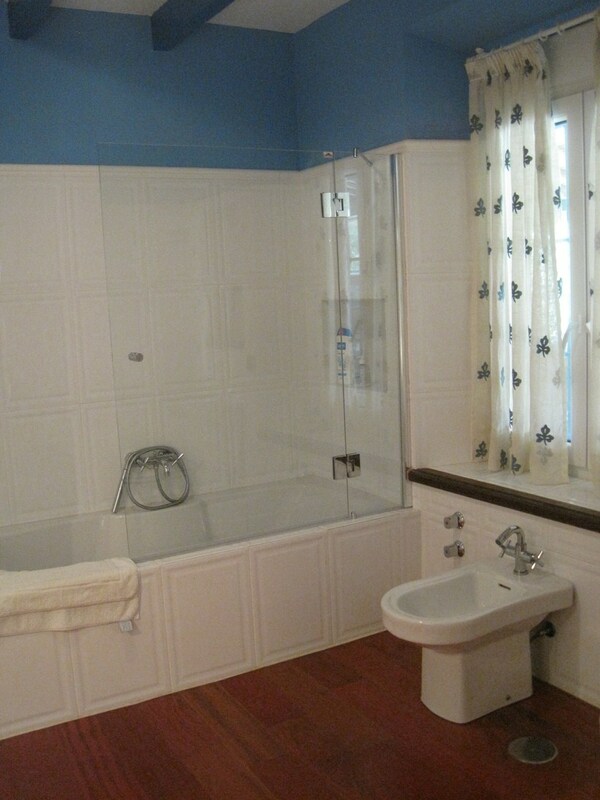 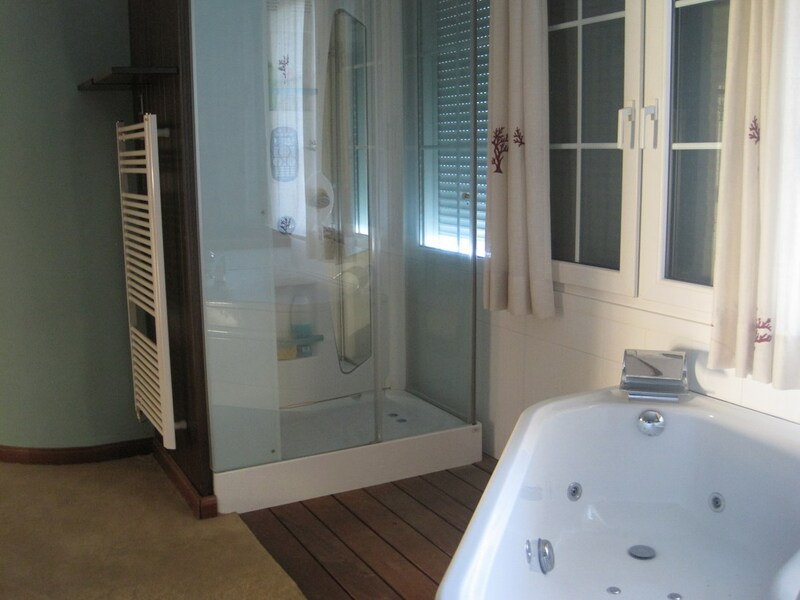 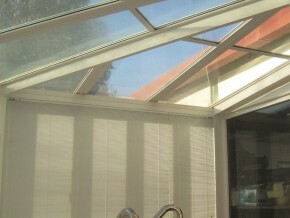 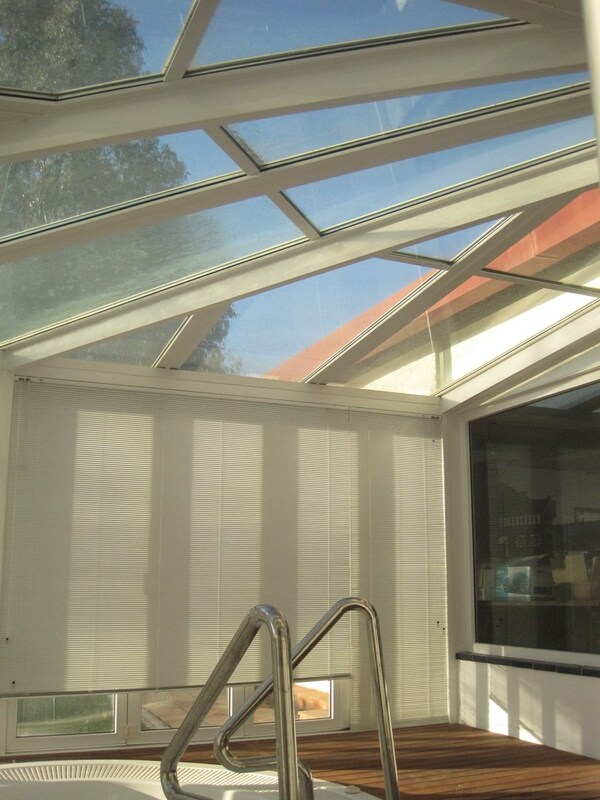 In the spa is a changing area, two WCs and shower, and a stunning, large jaccuzi for 5 people in a conservatory environment with glass windows all around and door to the gardens. Also from here is a small sauna. 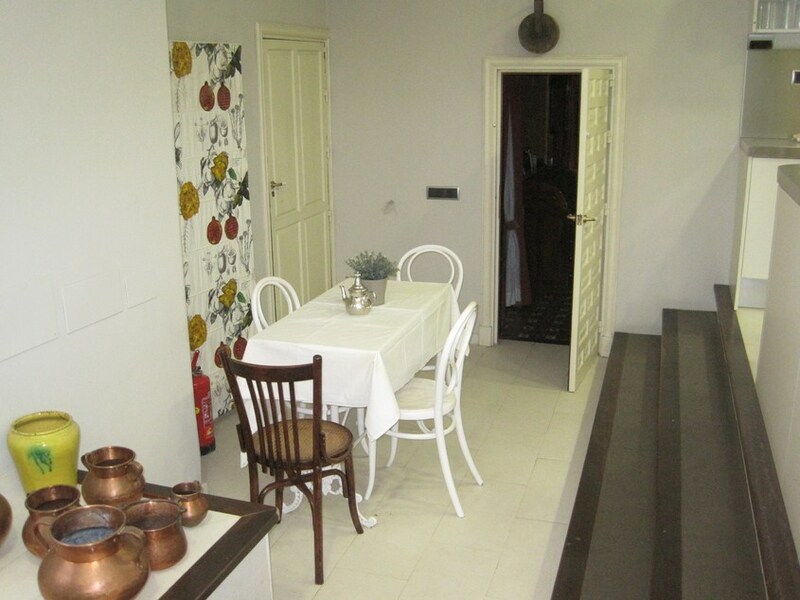 The basement area also has a complex of spacious store rooms, access to the triple garage, to the lift, and steps down to the installations room housing all the under floor central heating equipment. 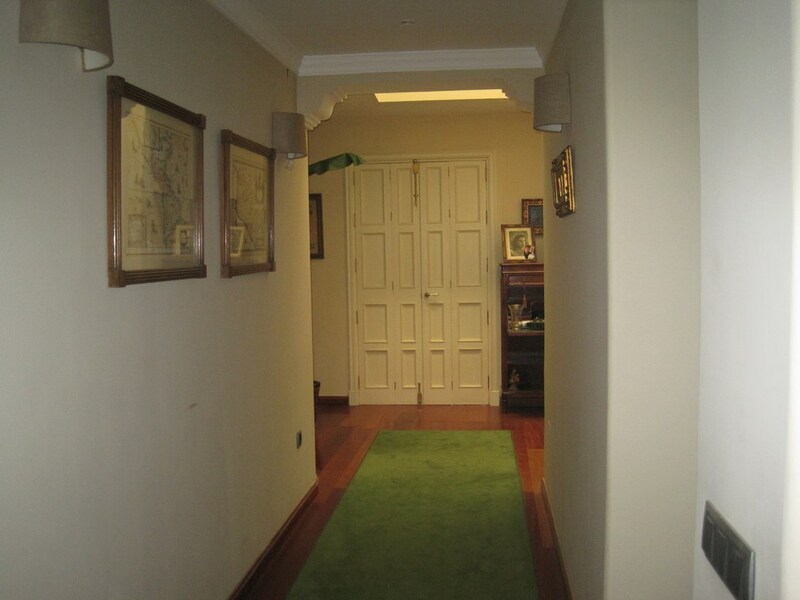 This floor is accessed from two different parts of the house. 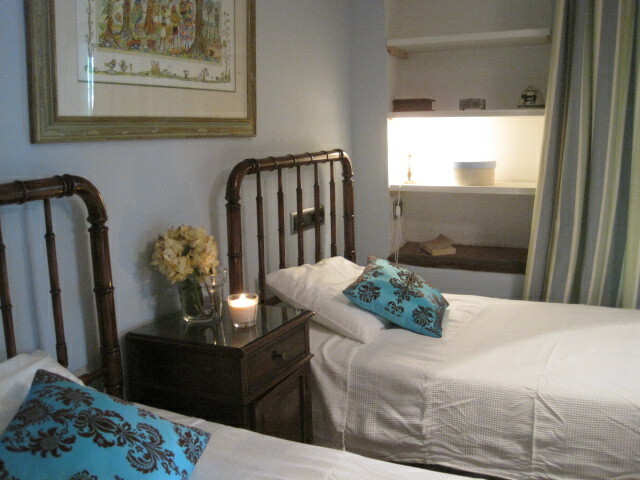 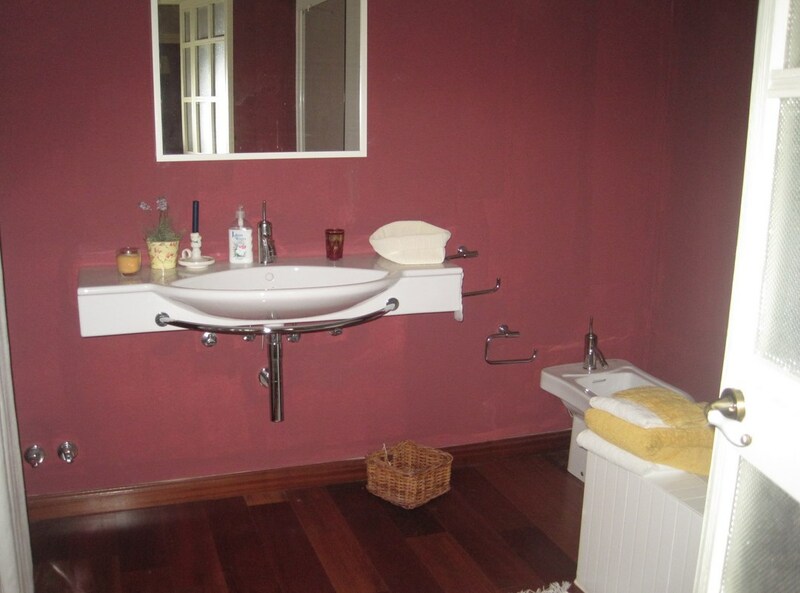 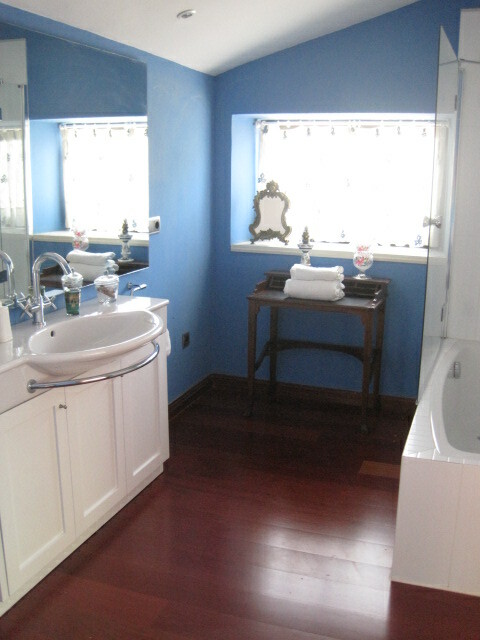 – Returning to the inner hallway in the original part of the house, a stairway leads up to a large bedroom with extensive fitted wardrobes, and a beautiful ensuite bathroom with bath and overhead shower, WC, wash basin and bidet. 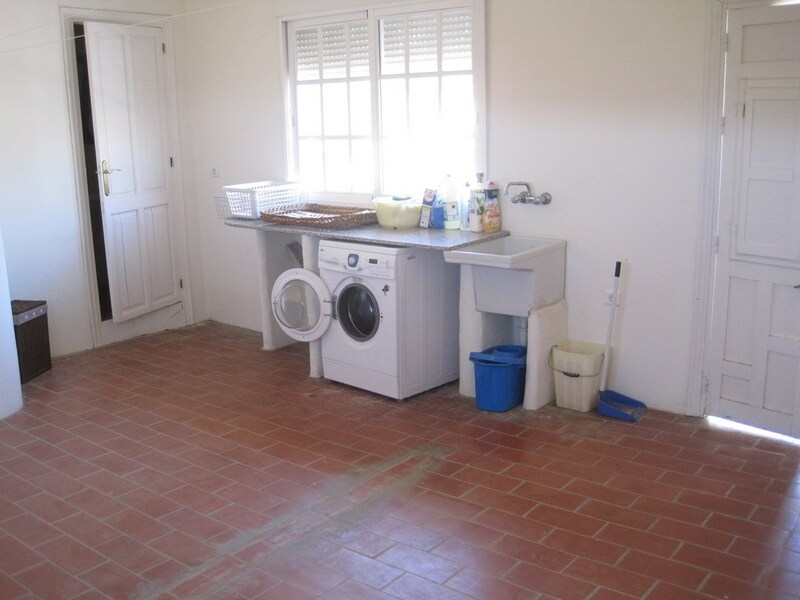 Also from this level, a glass door leads to a small outside clothes drying area, and a wooden door leads into a spacious laundry, separate WC and lockable walk-in linen cupboard. 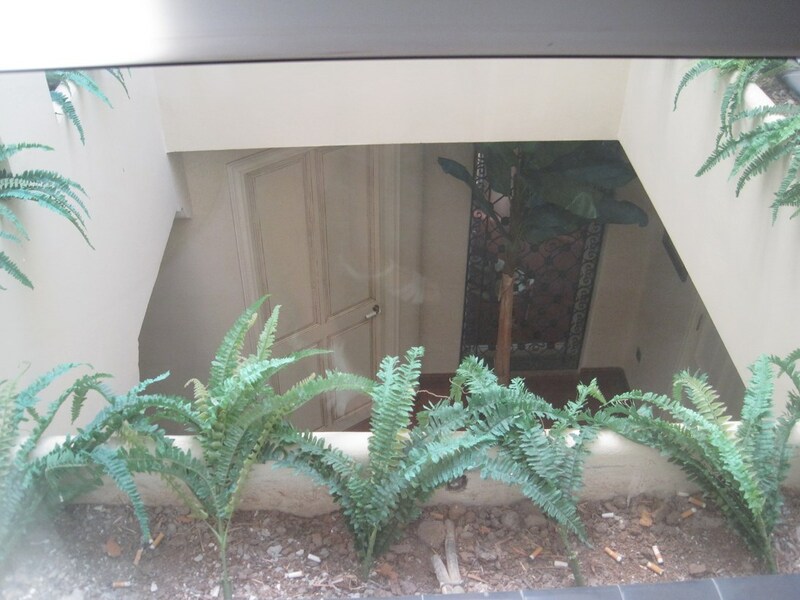 – From the main stairwell, elegant stairs lead up to the main section of the first floor in a the refurbished part of the house, with a central atrium in the centre, allowing light in via glass wall panels. From the landing, a suite of rooms are laid out around the central atrium, including a rest area with sofas and chairs,, two huge bedrooms, and a luxury bathroom with spa bath, his and hers wash basin suites and separate his and hers WCs, plus storage cupboard. 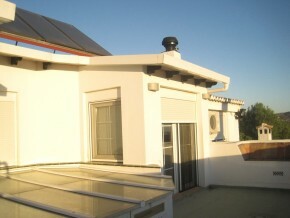 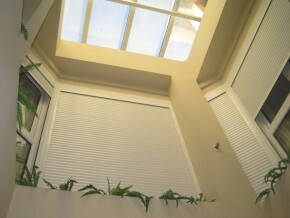 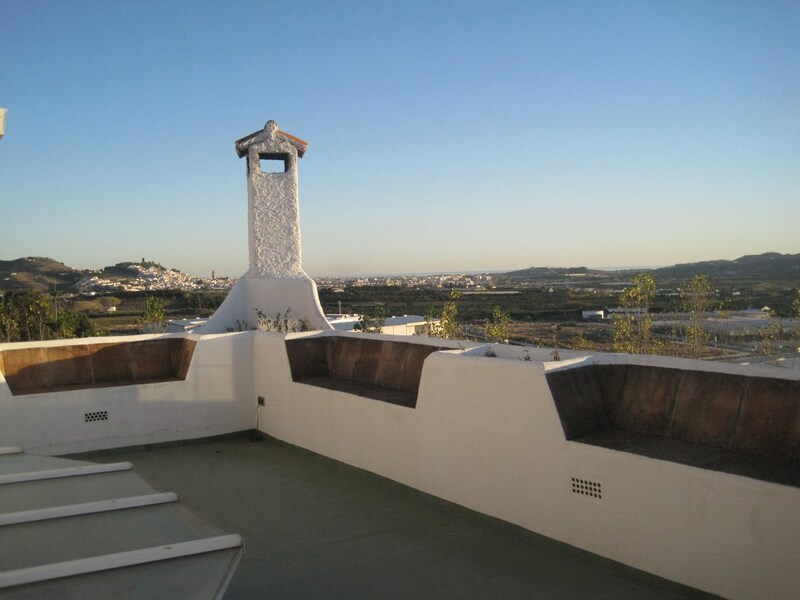 This is the top floor, leaidng straight into a huge, 100m2 office or study space, with direct lift access. 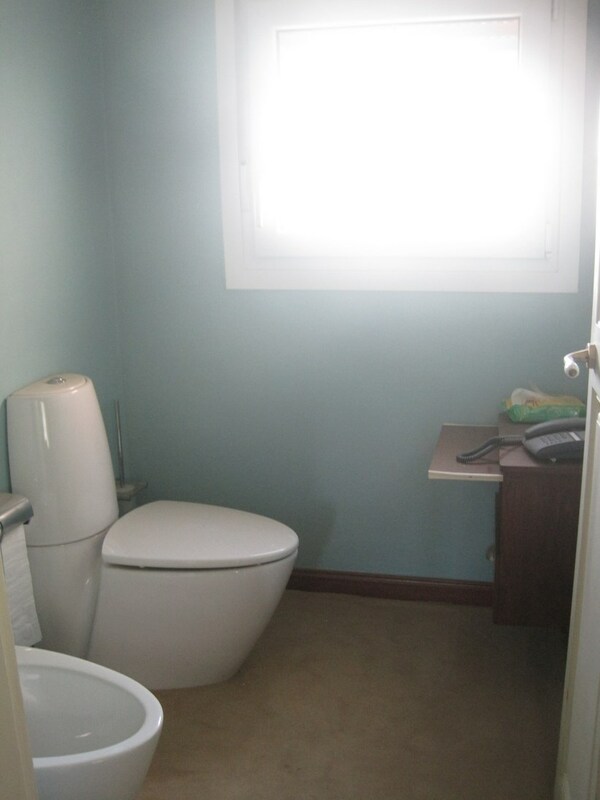 There is a separate WC and a separate study or store room, plus a door out onto a lovely open terrace offering magnificent views over the countryside and out towards the sea. 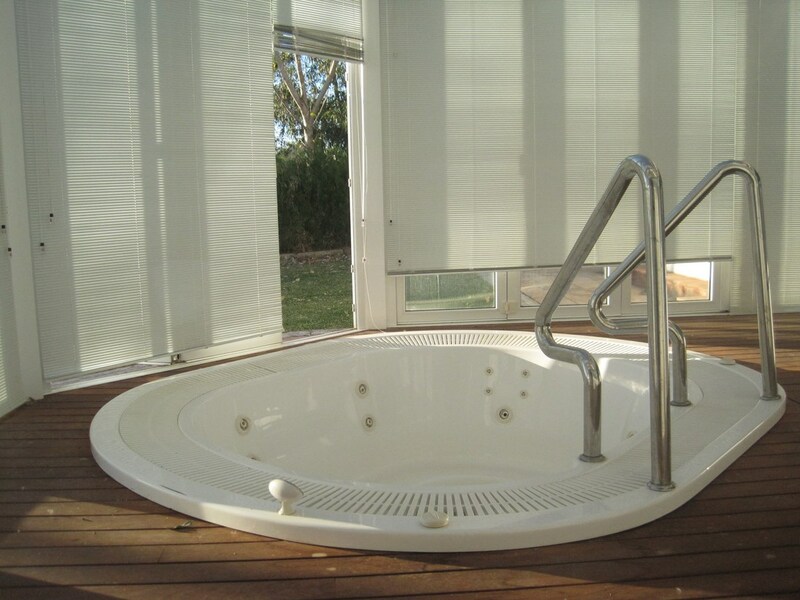 The pool is a generous …x…..m and has some wonderful features, including two fountains, a massage bed and back and foot massage seat. 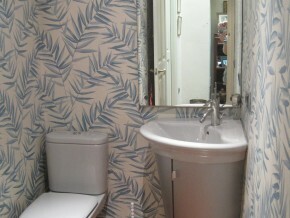 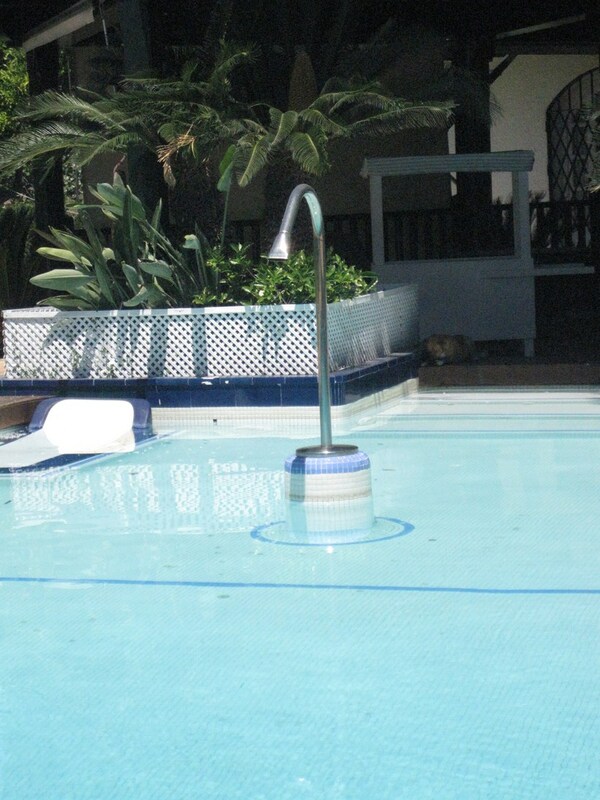 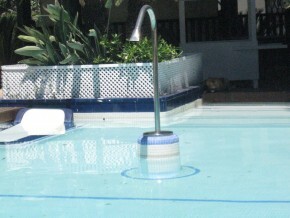 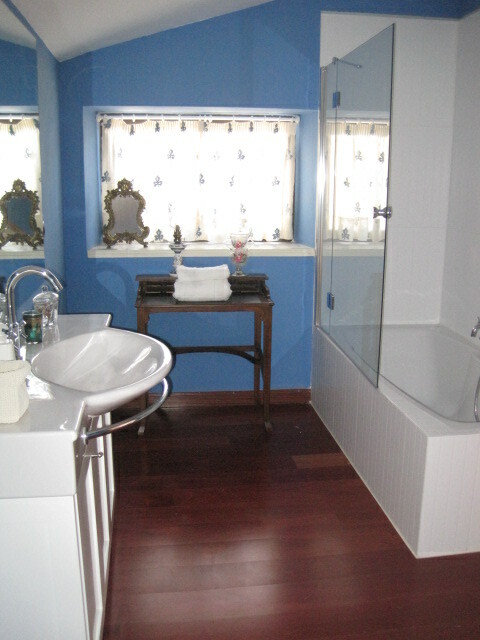 It has walk-in steps and is tiled with white pool tiles to give a Caribbean, light blue effect to the water! 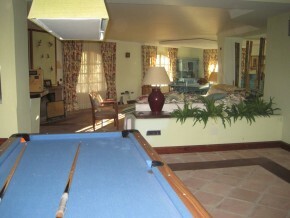 Next to the pool is the covered terrace, with access to the bar and recreation rooms. And adjacent to this area is the large open barbeque area. 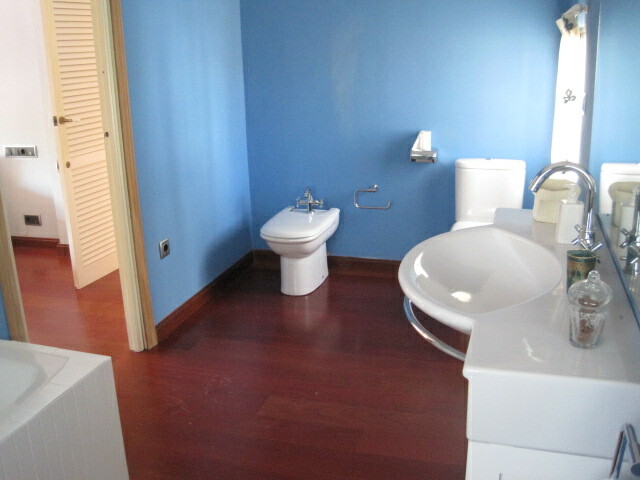 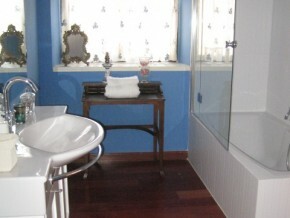 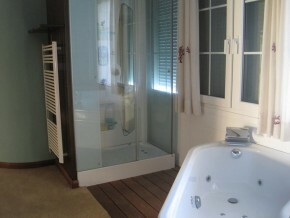 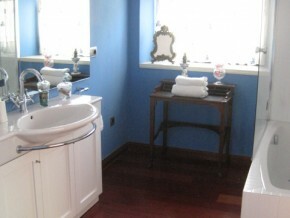 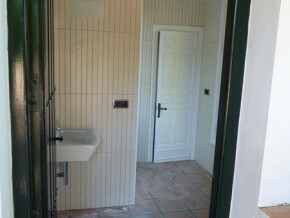 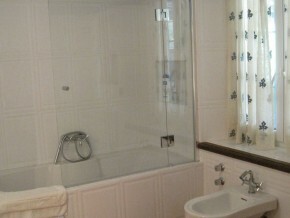 In the far corner of the pool area is an outside bathroom with wash basin, double shower unit and separate WC. Next to this is the pool house with all the pool filter equipment and plenty of storage space.